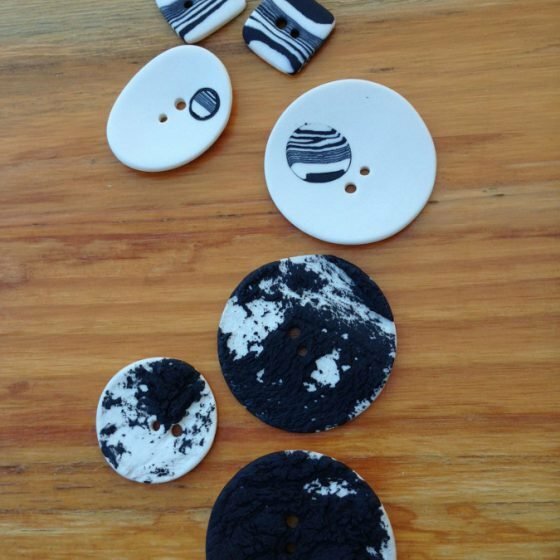 Black and white in their countless nuances contrast each other in a play of claus and colours. 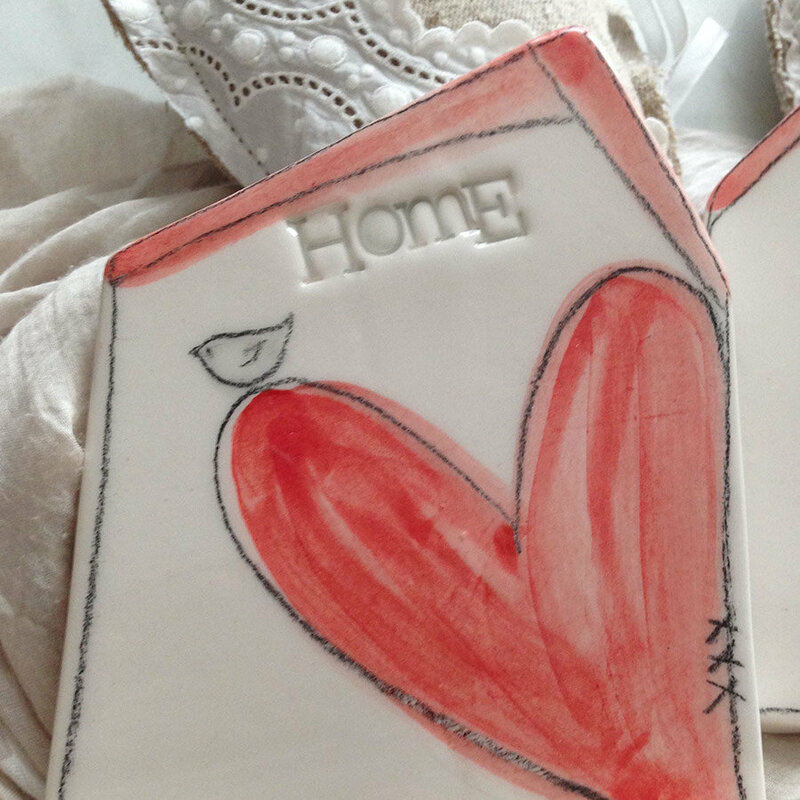 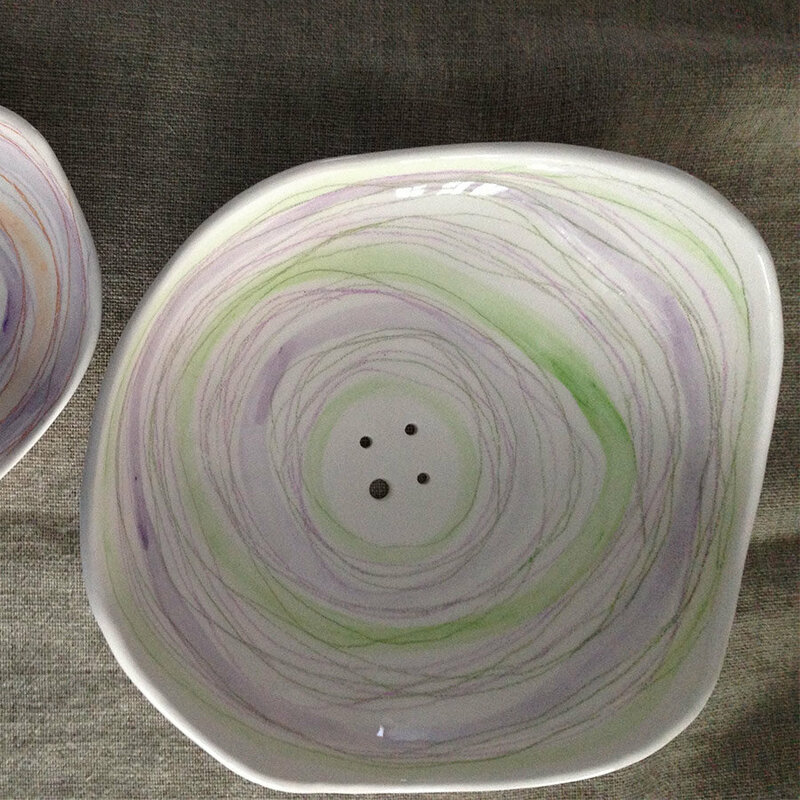 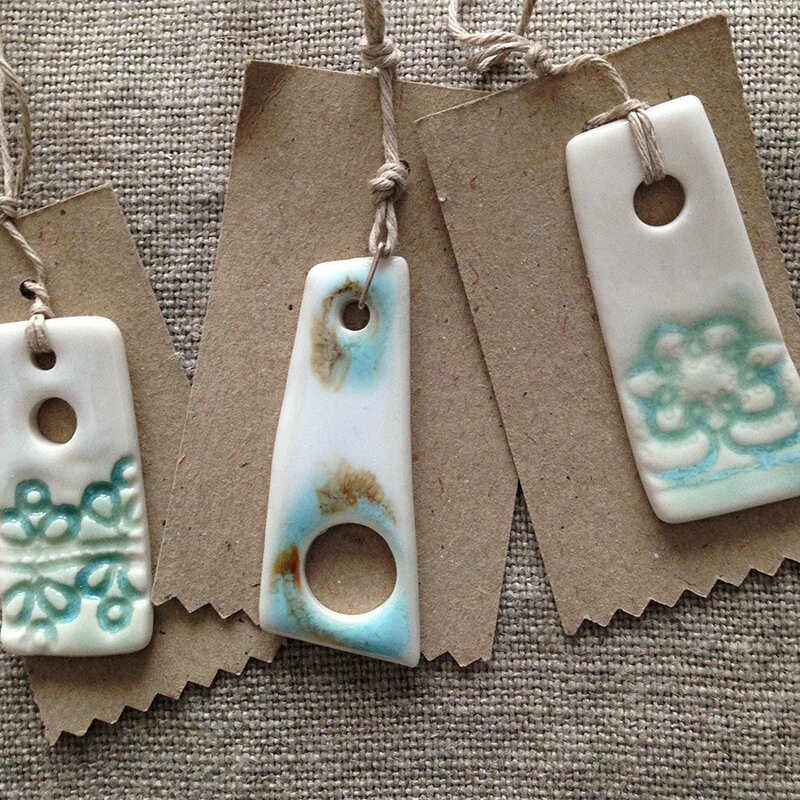 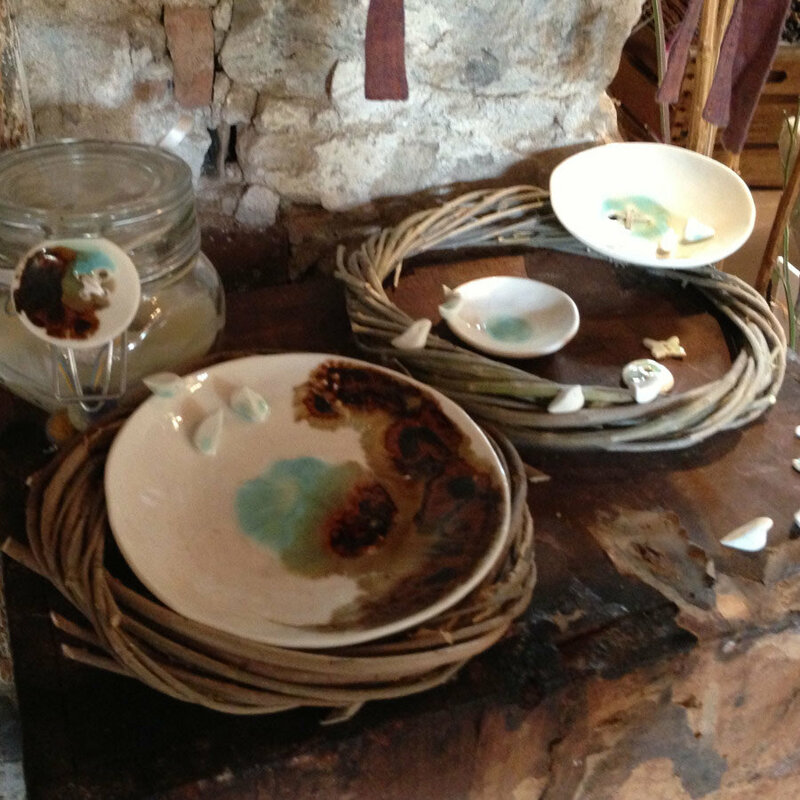 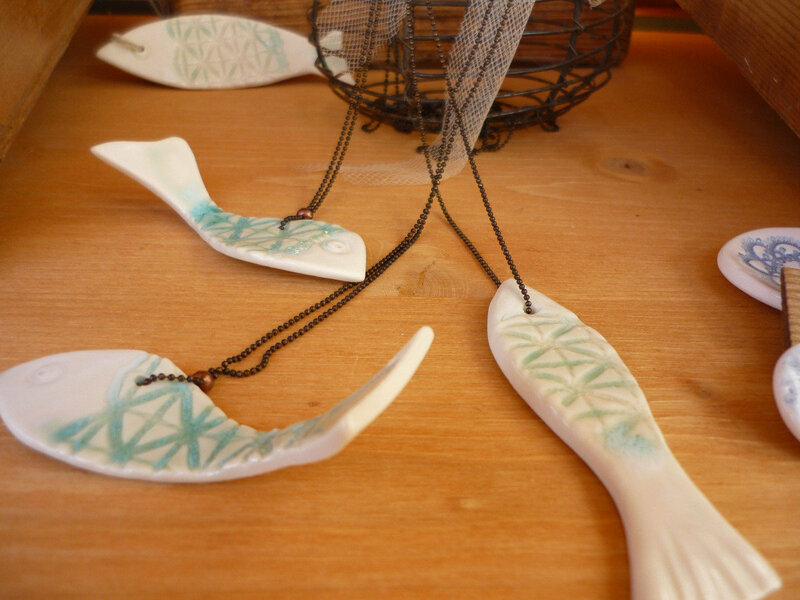 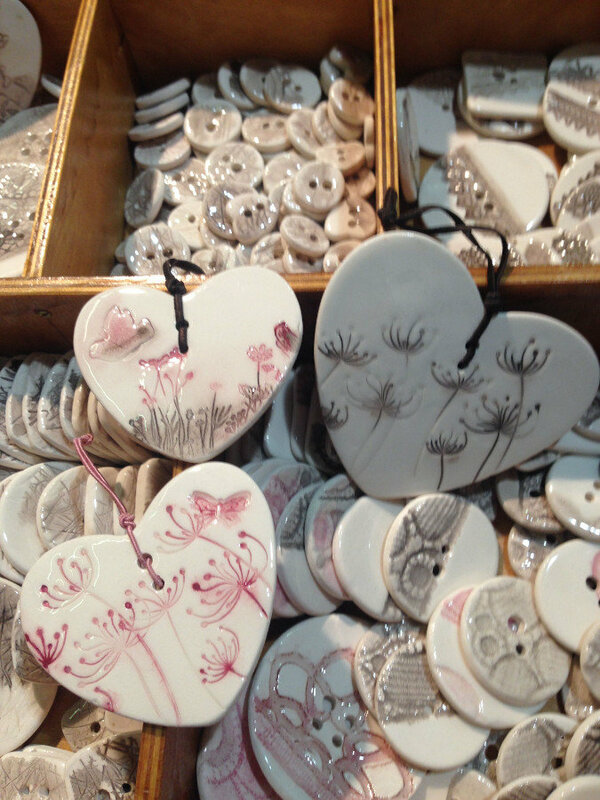 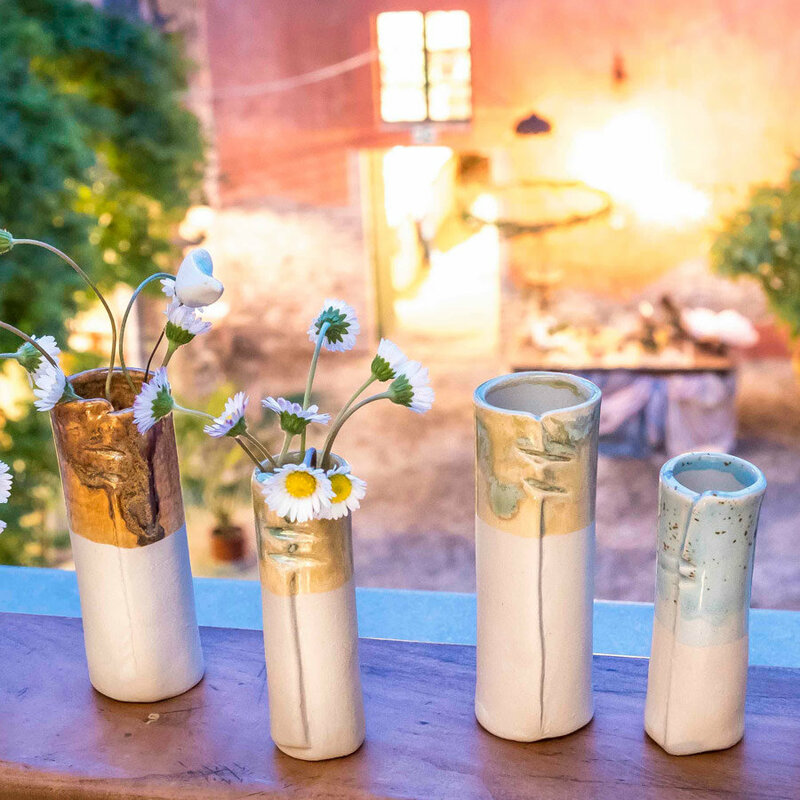 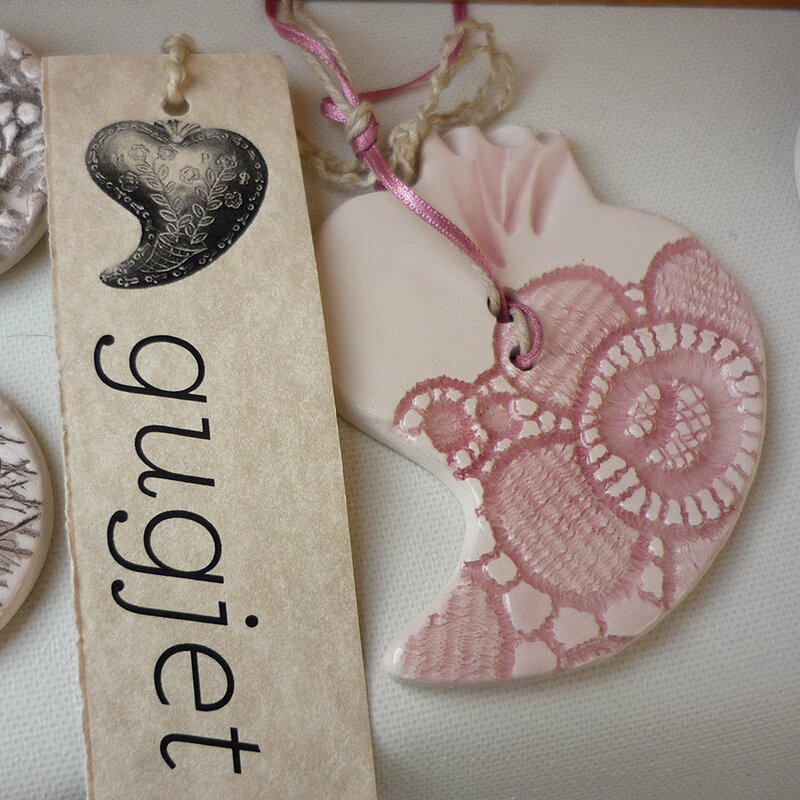 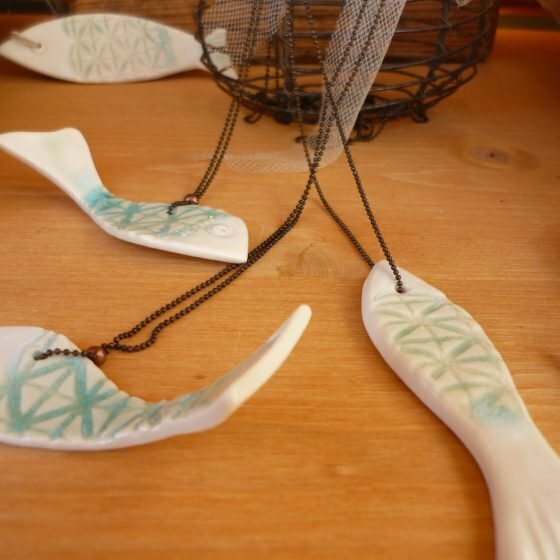 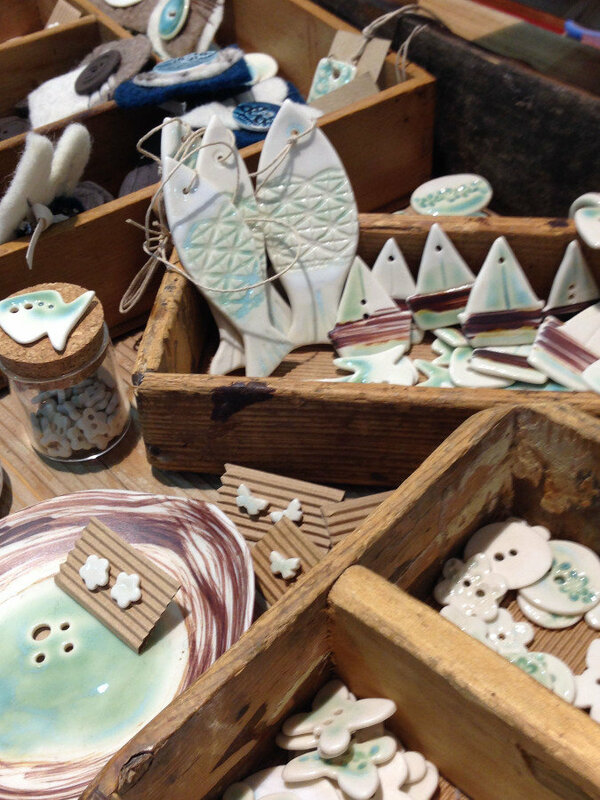 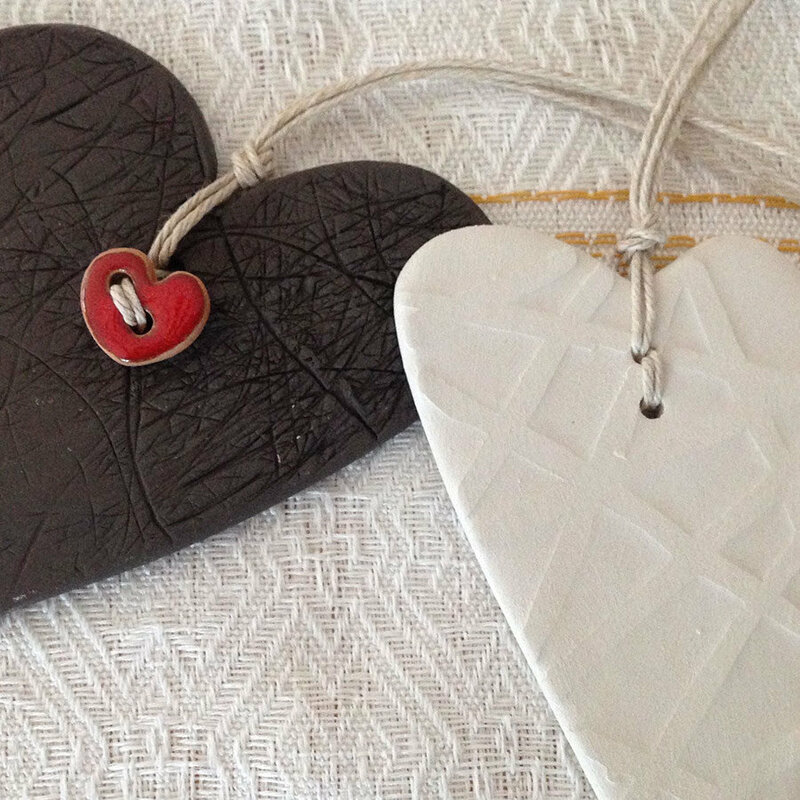 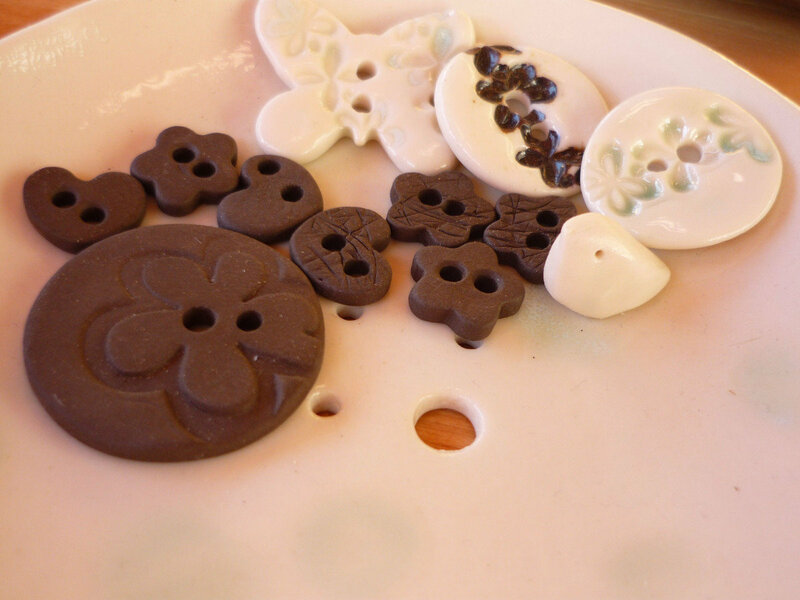 White from earthenware and black from hunchbacks, under-crystalline, pastels or glaze. 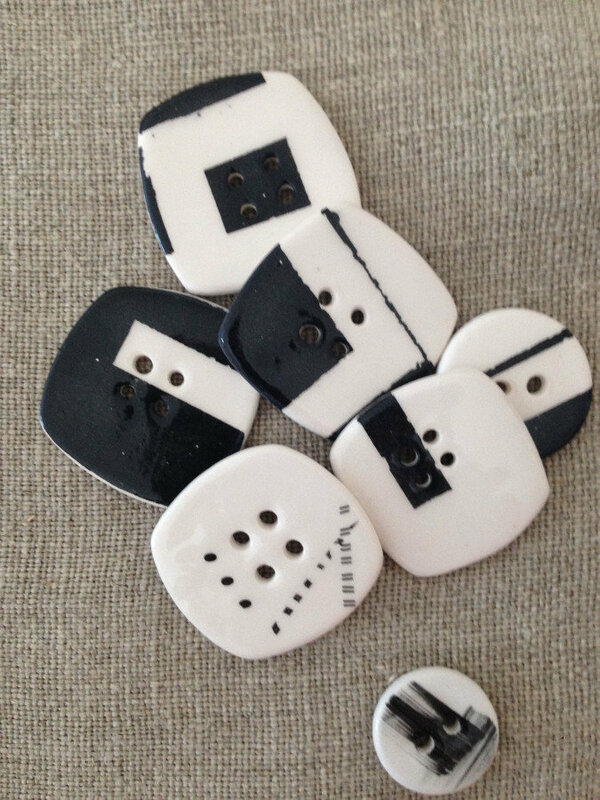 White from gres and sealed earth and black from smoke. 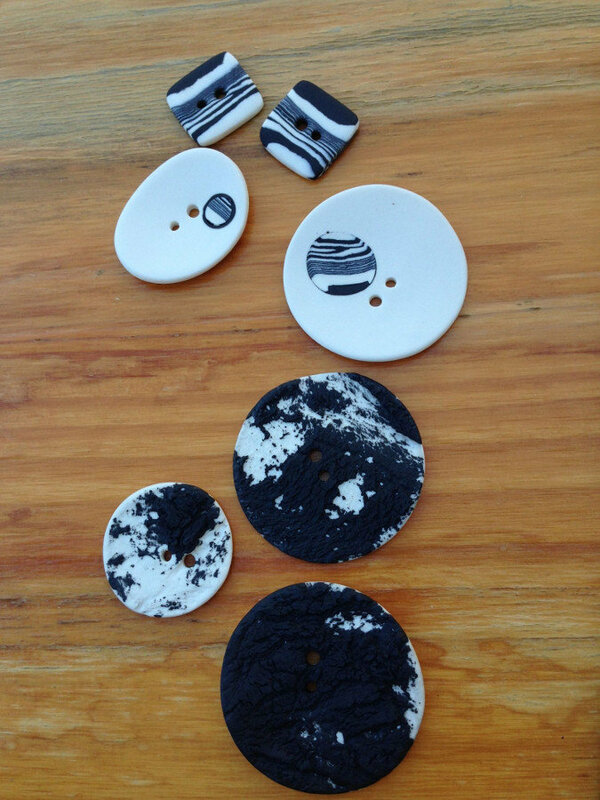 White and black from porcelain combined together with nerikomi technique and its evolutions. 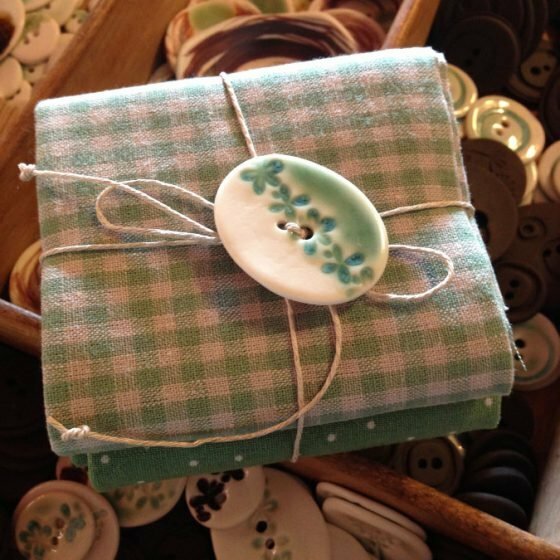 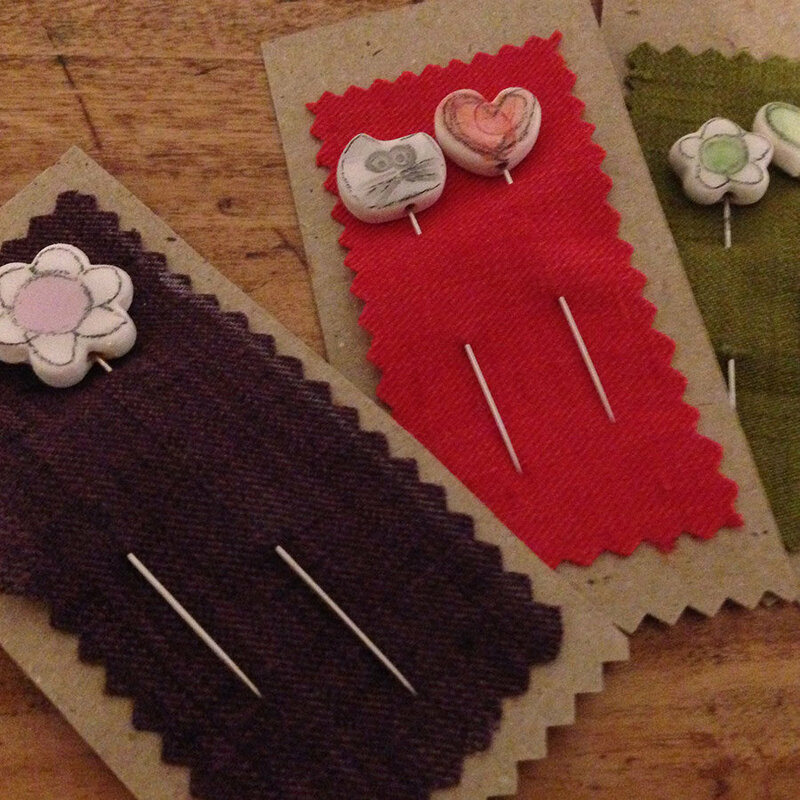 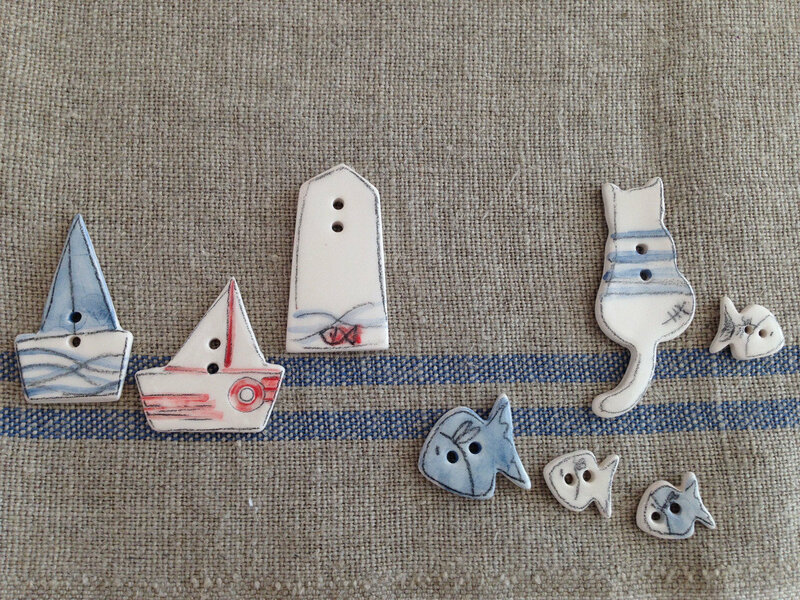 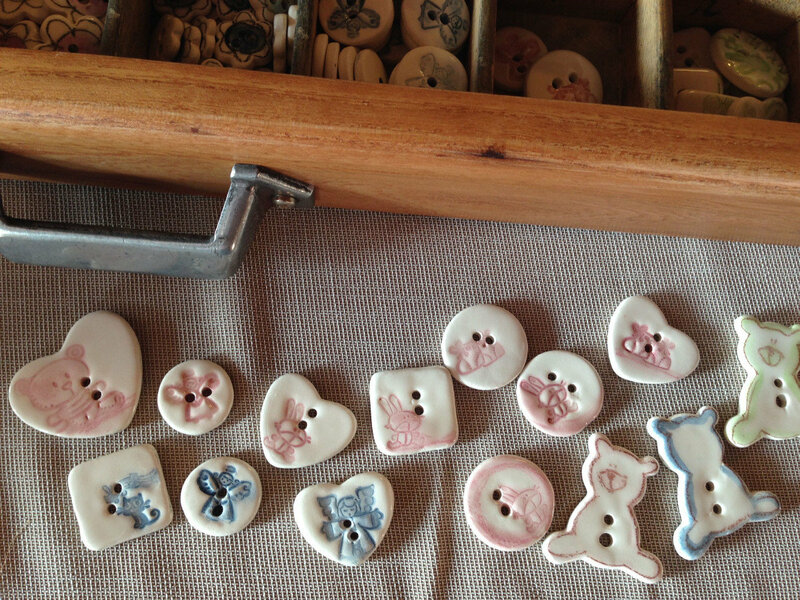 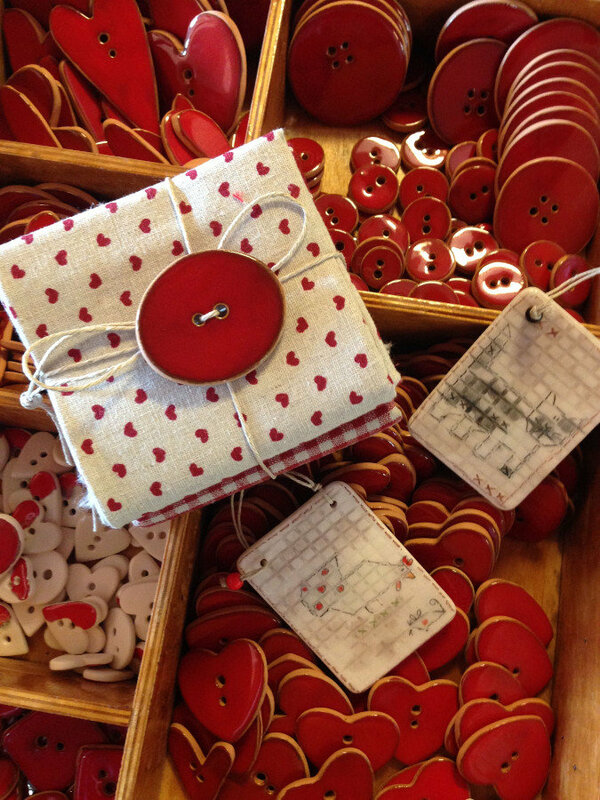 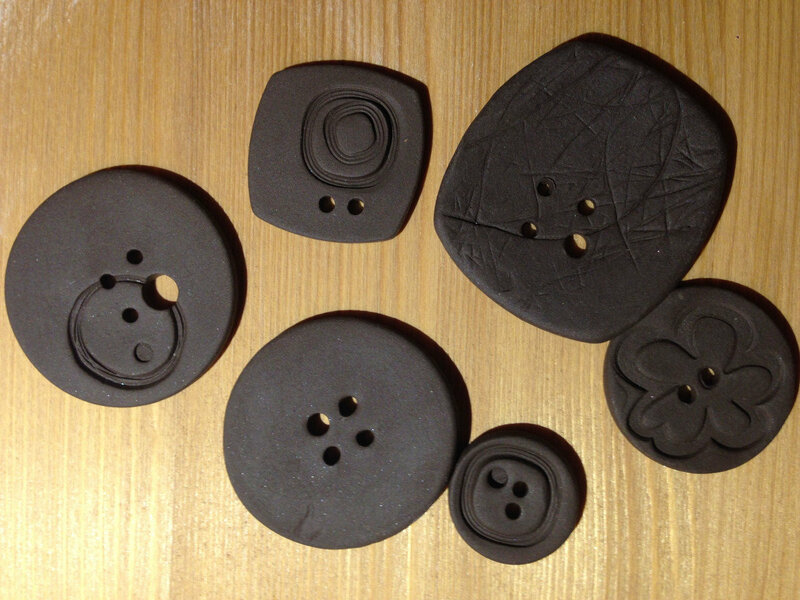 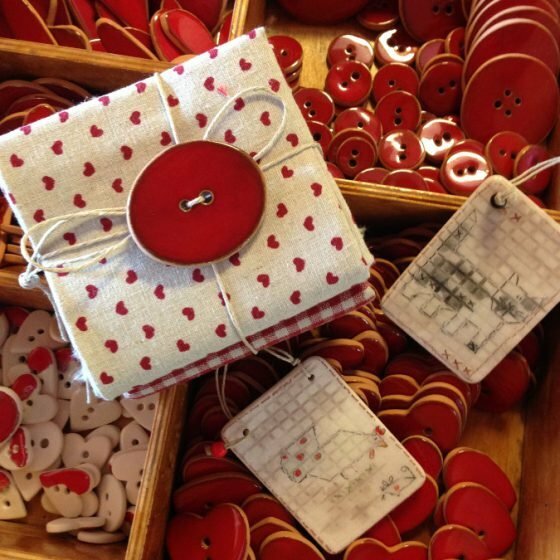 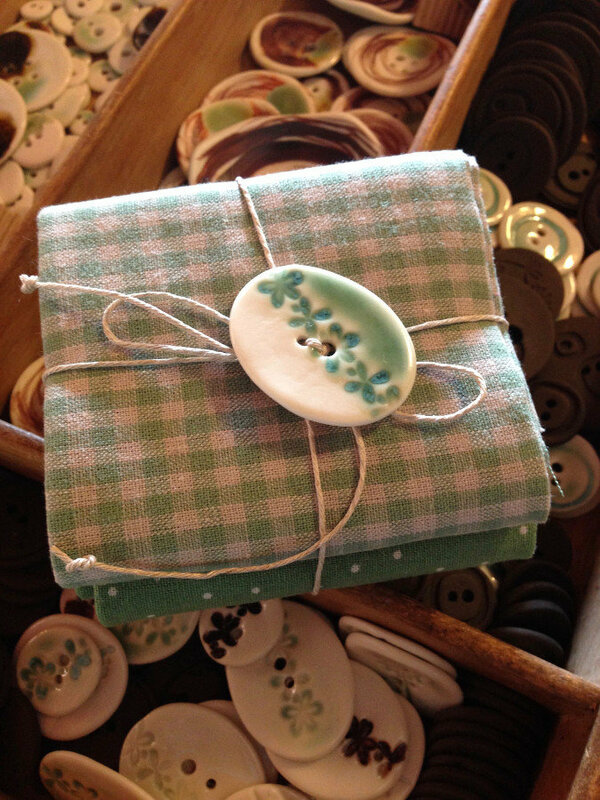 Buttons created leaving room to fantasy. 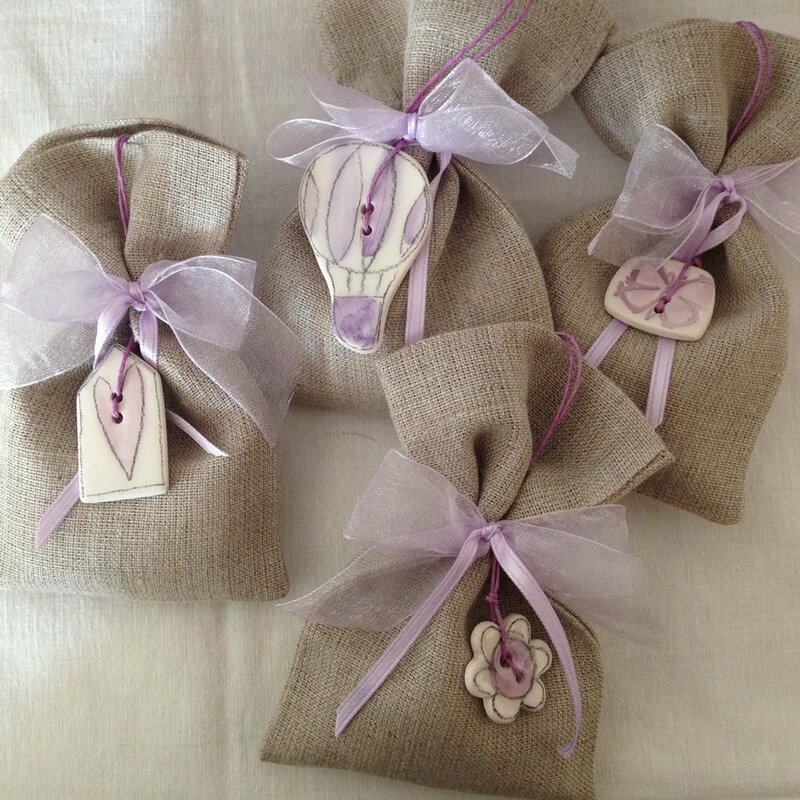 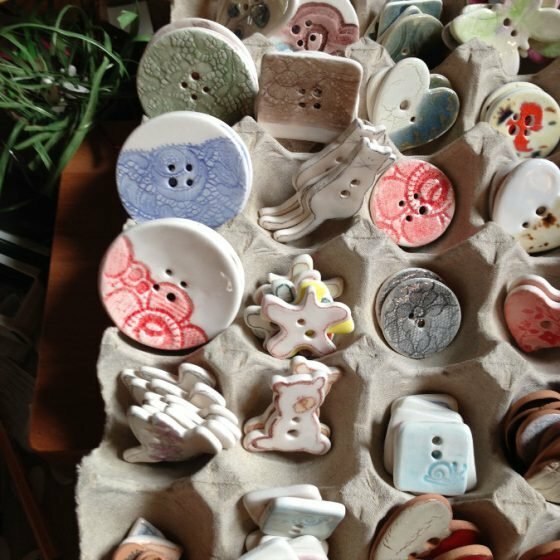 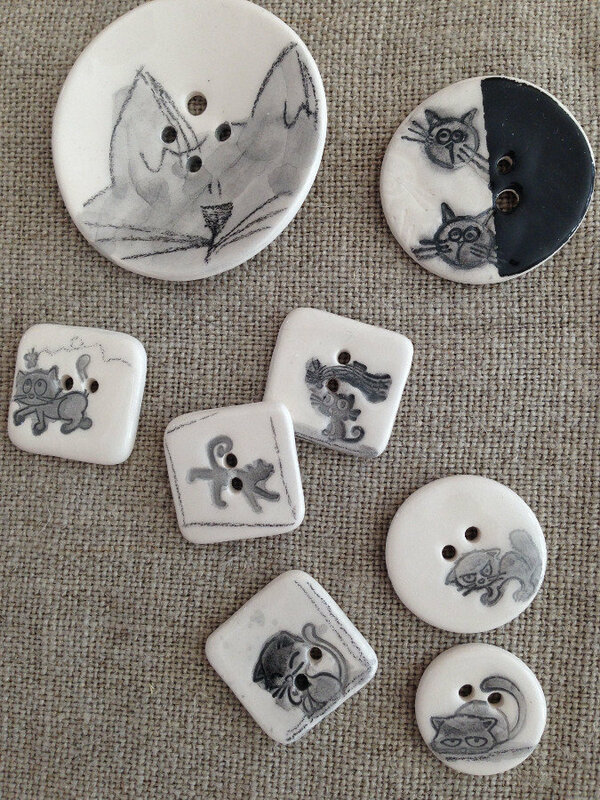 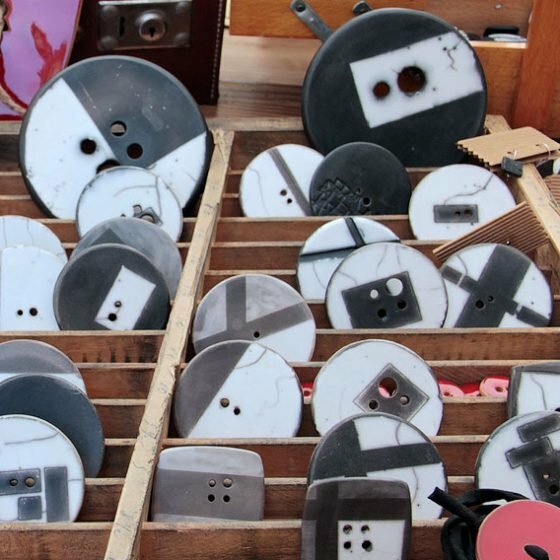 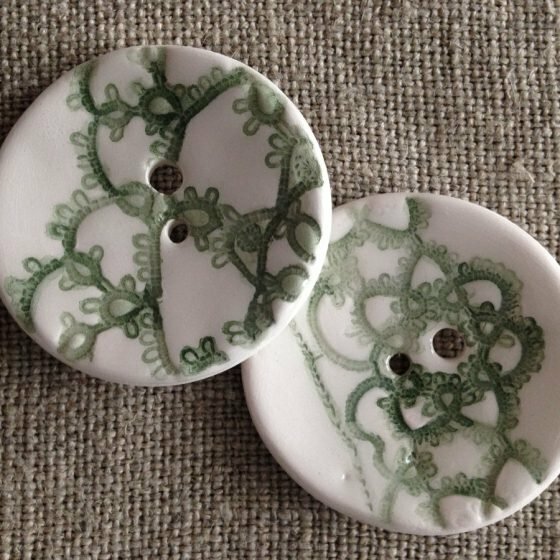 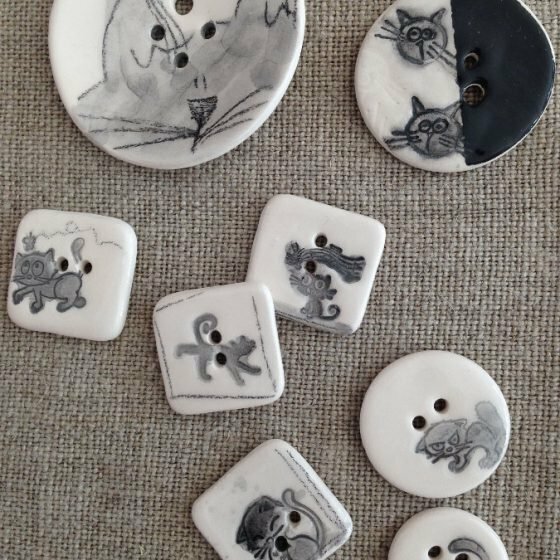 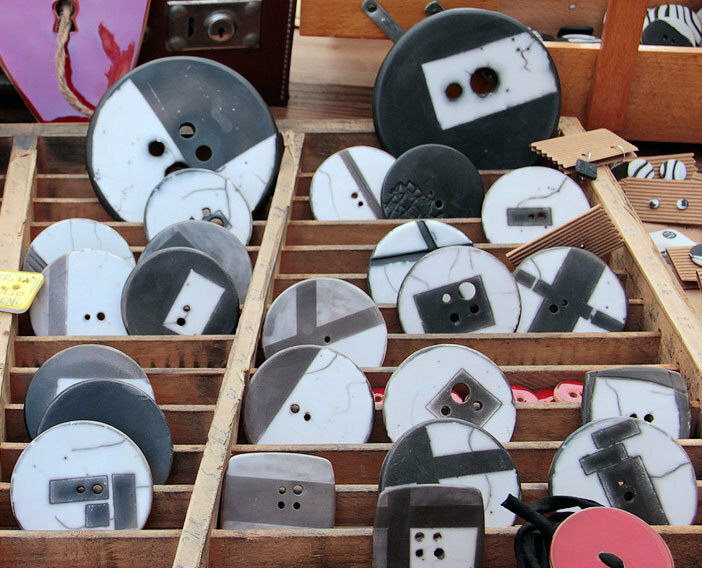 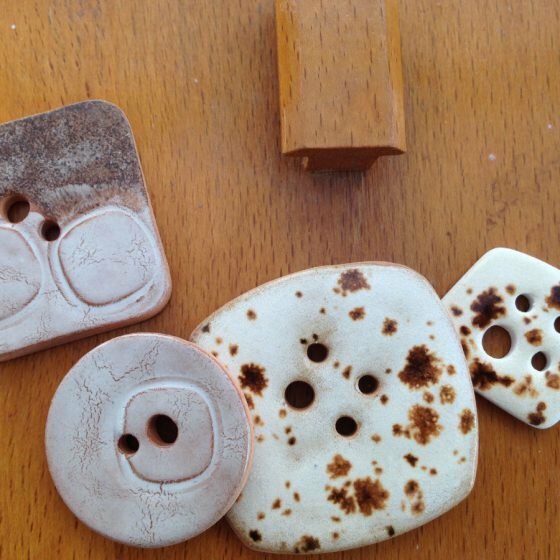 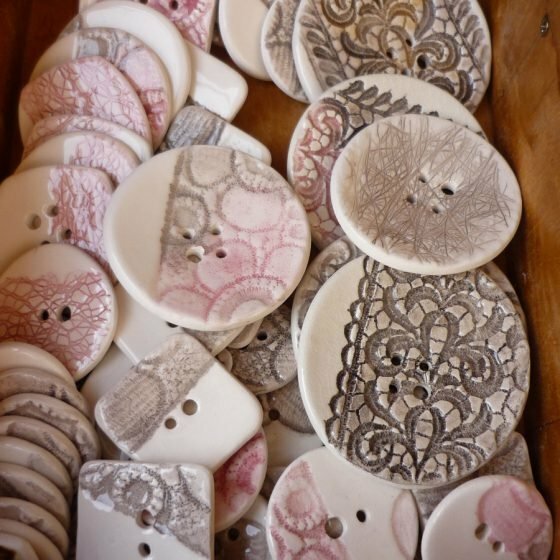 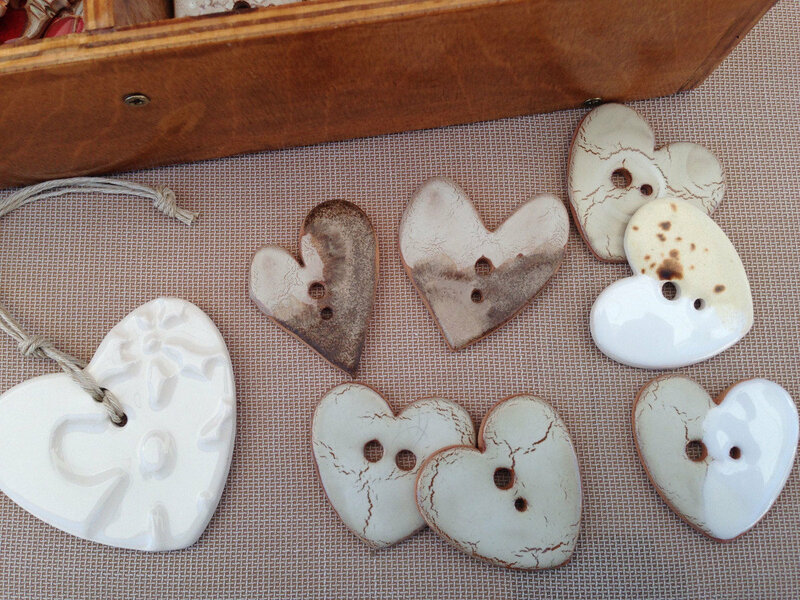 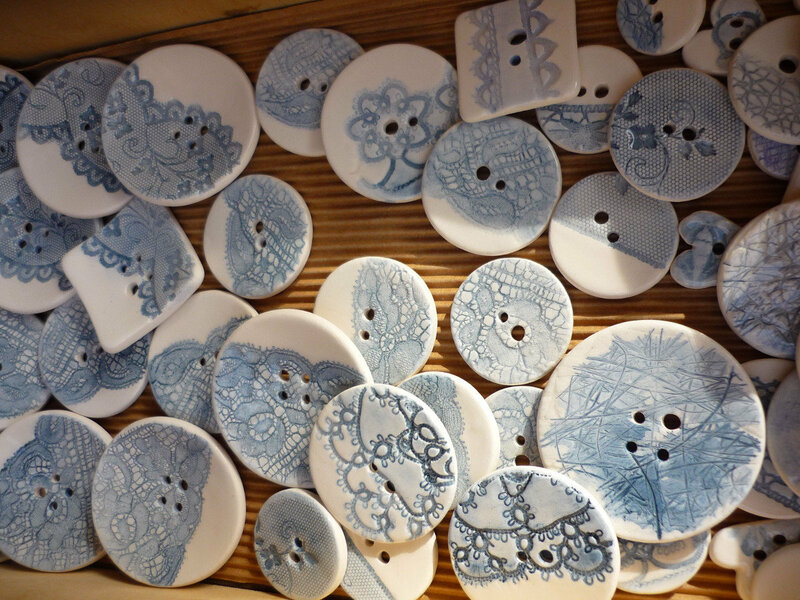 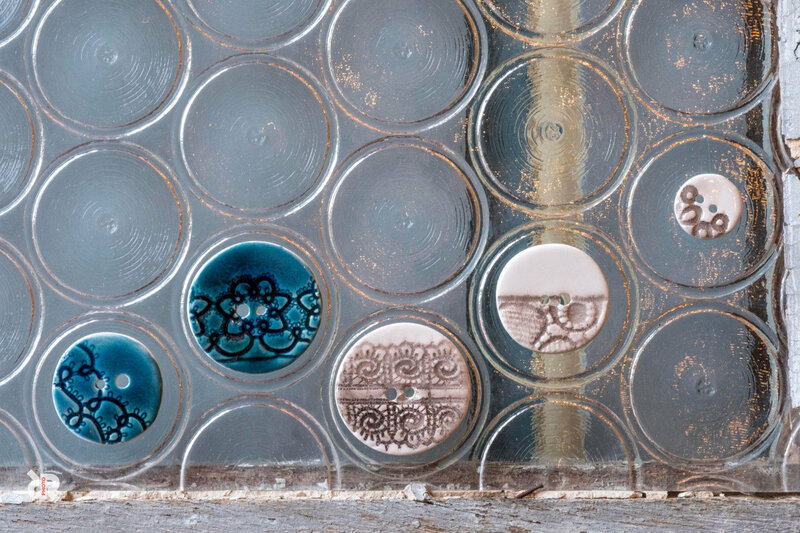 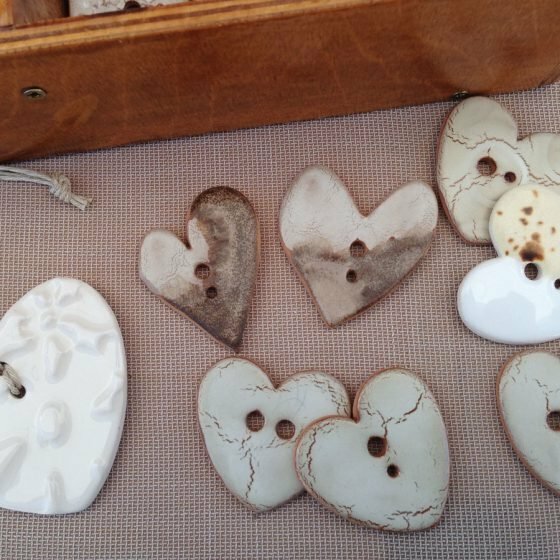 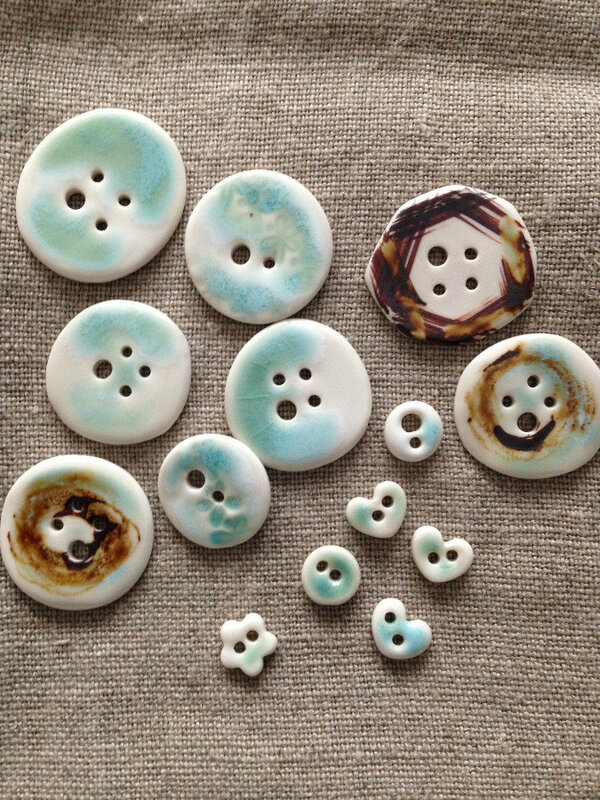 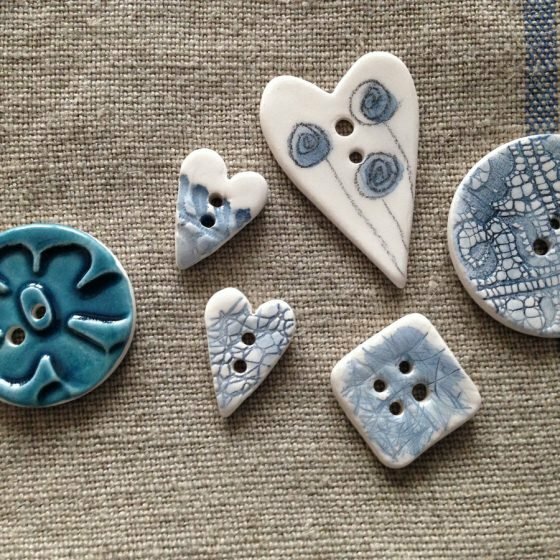 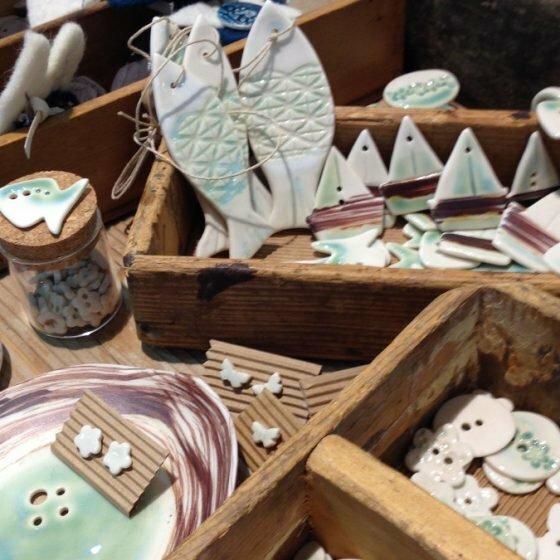 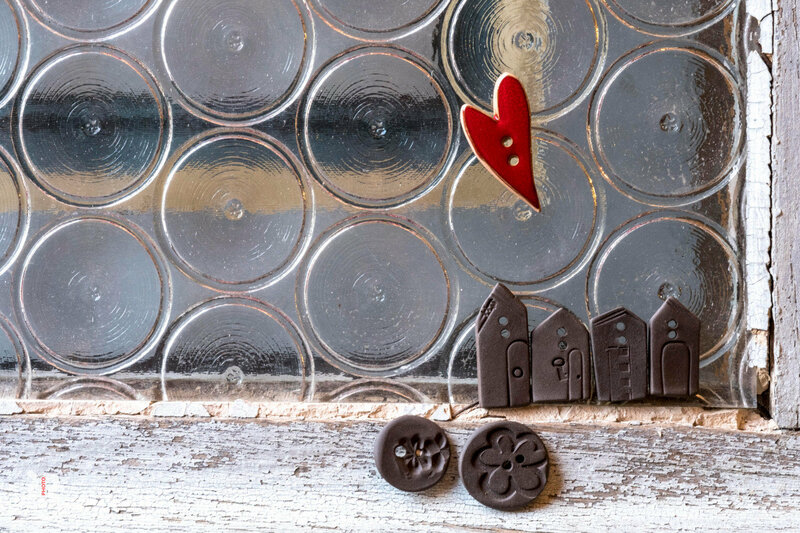 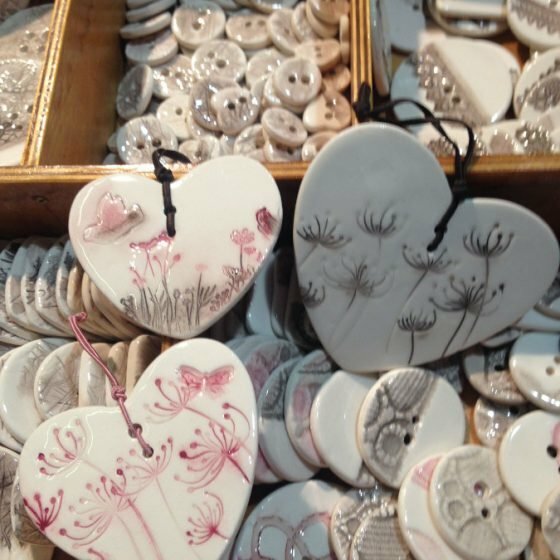 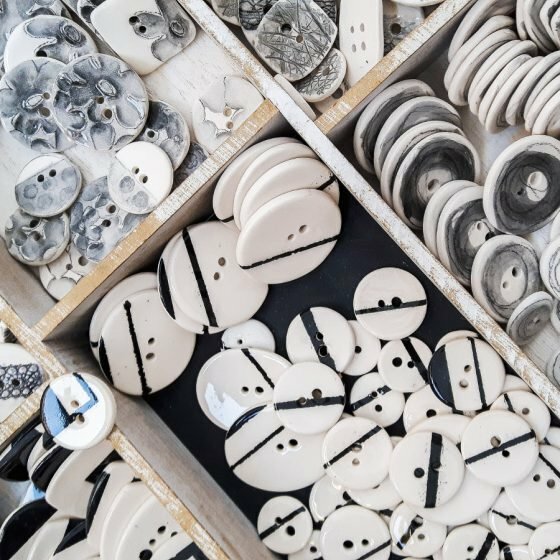 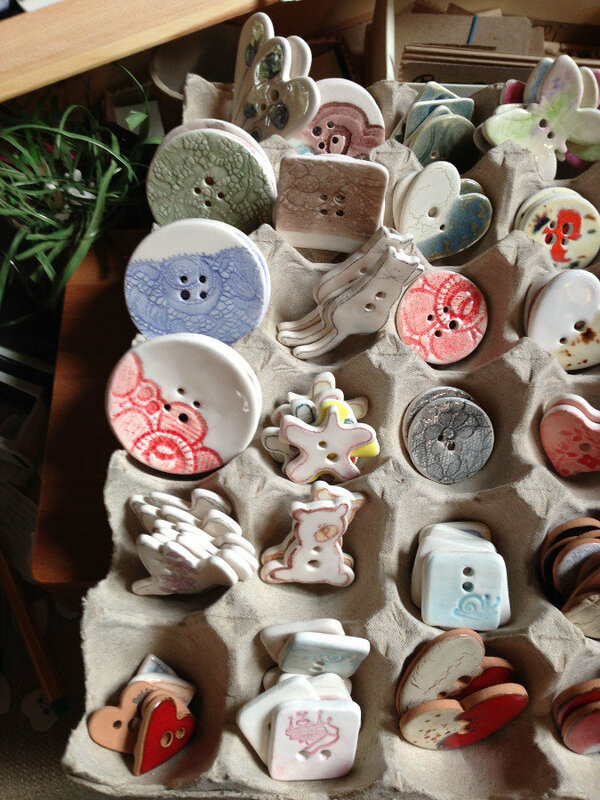 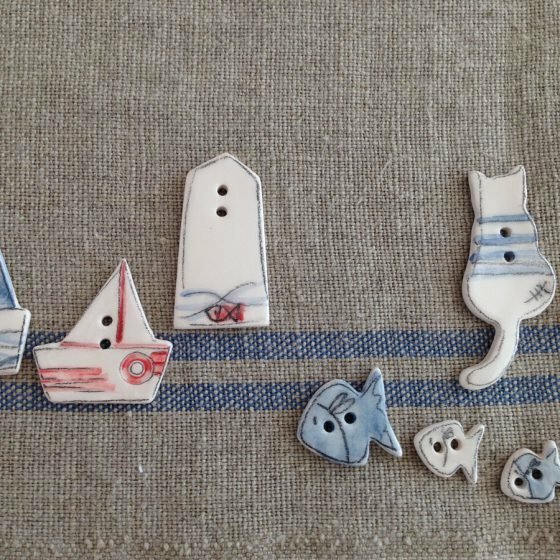 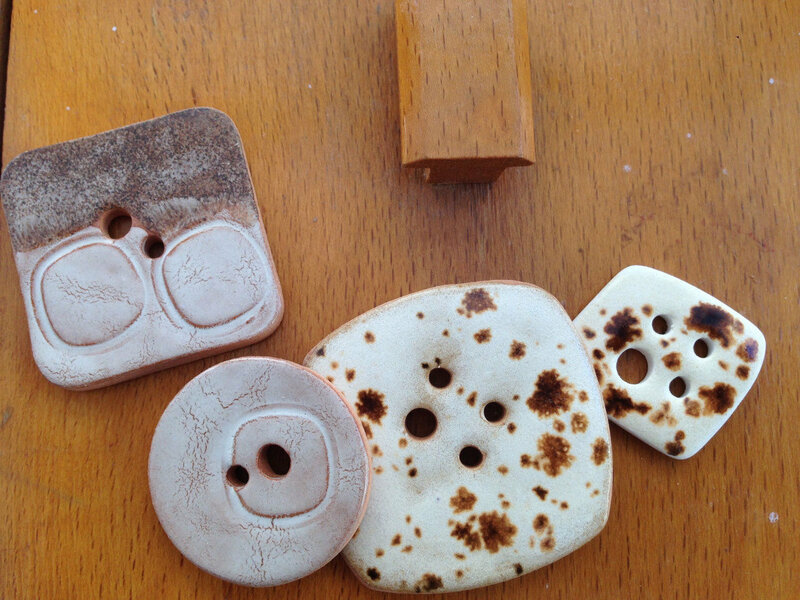 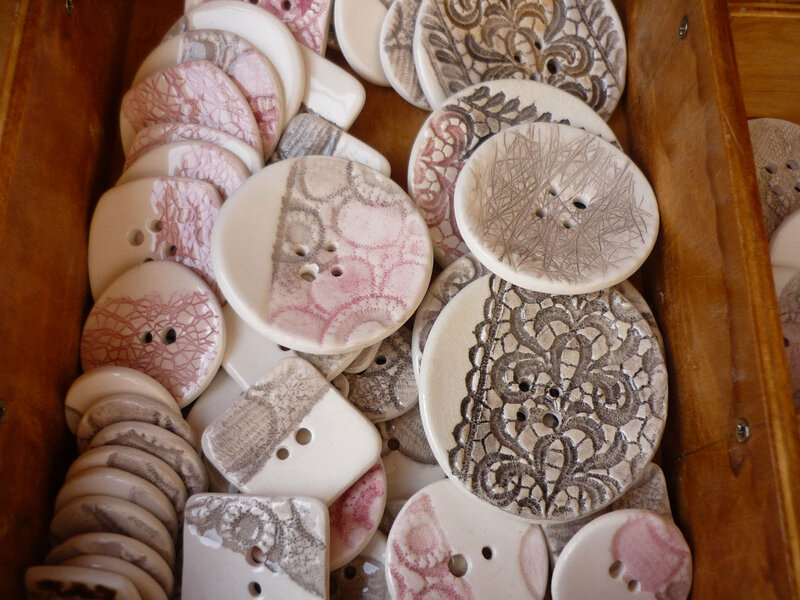 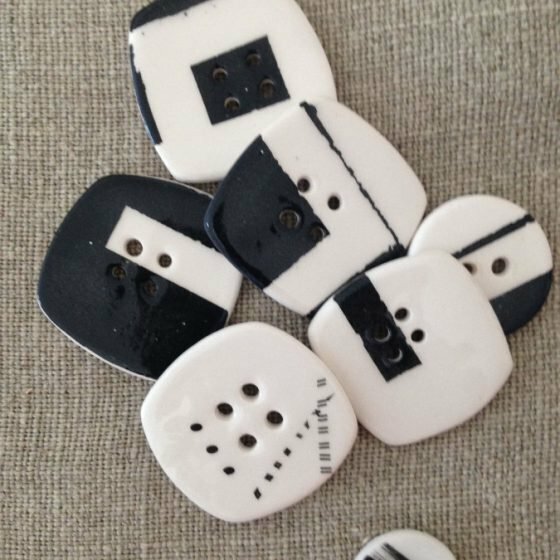 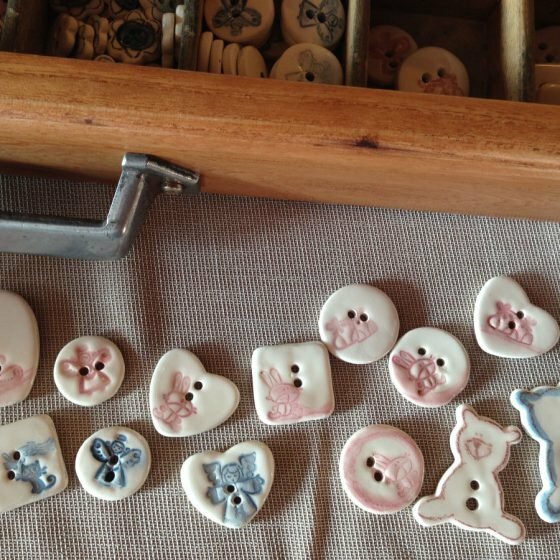 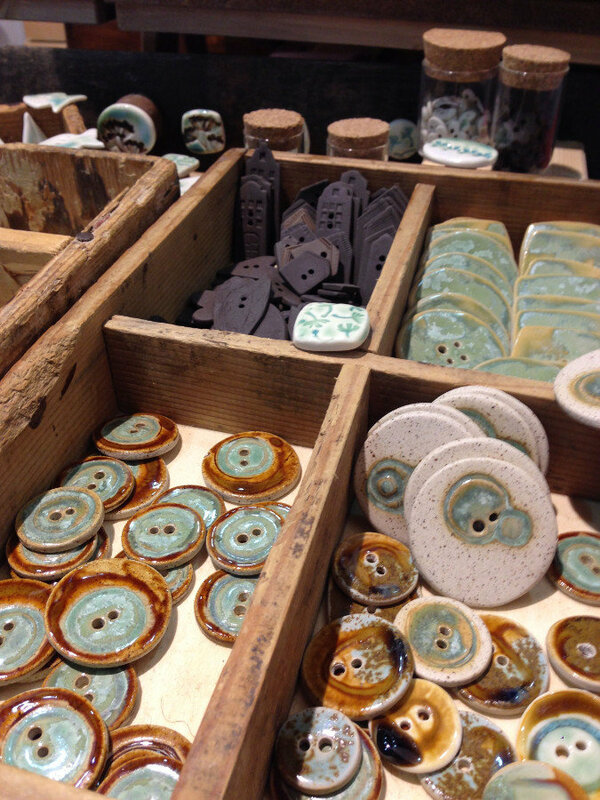 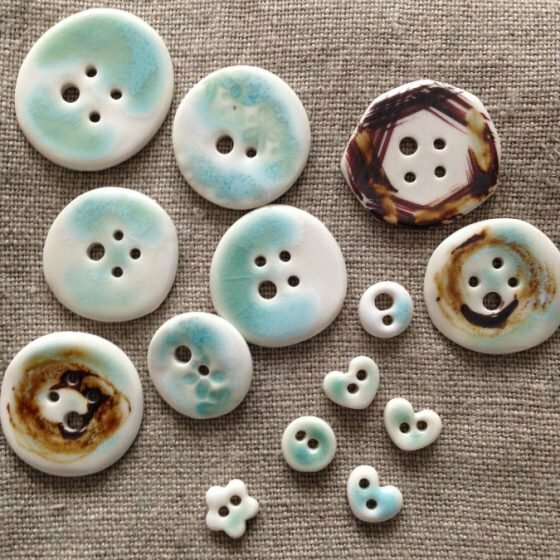 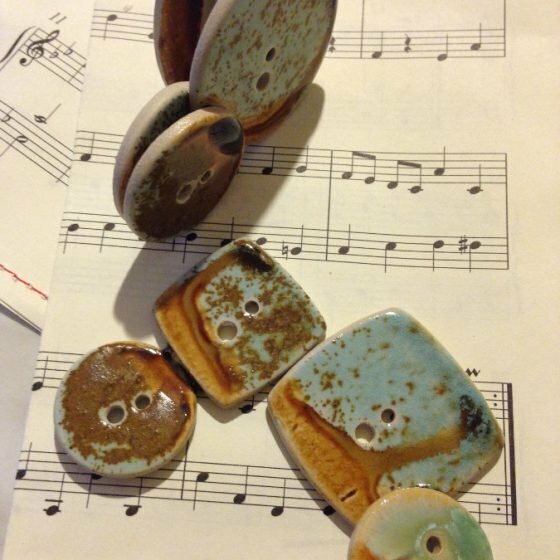 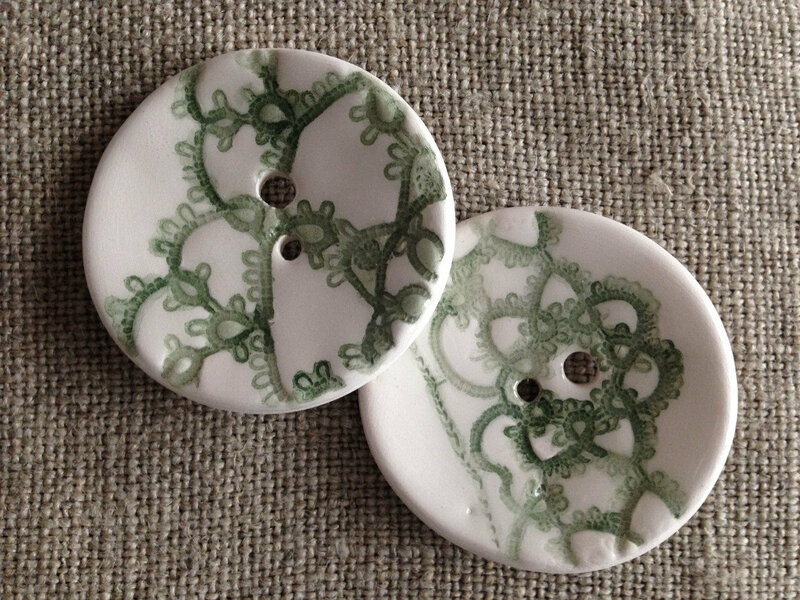 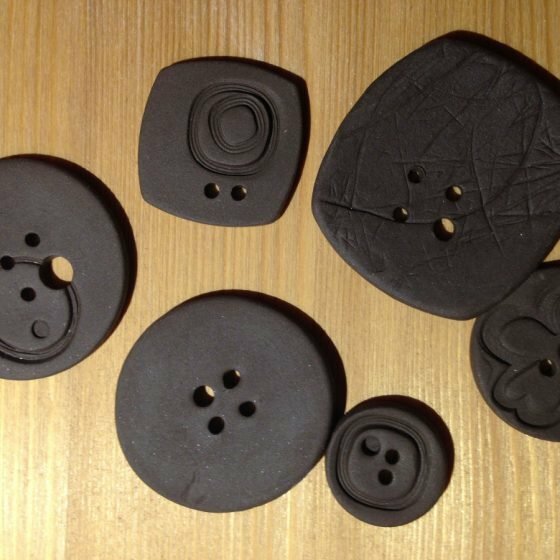 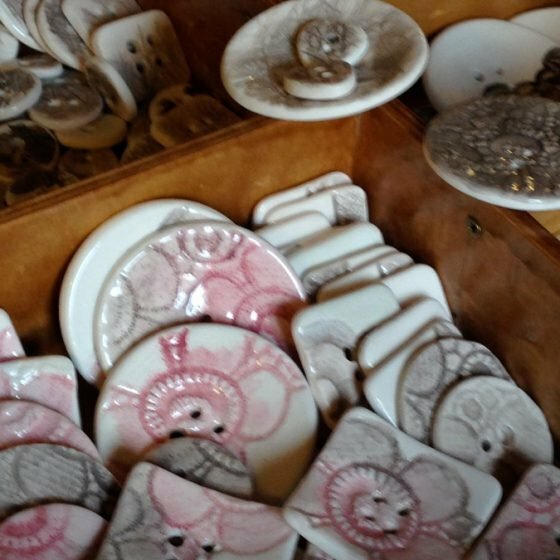 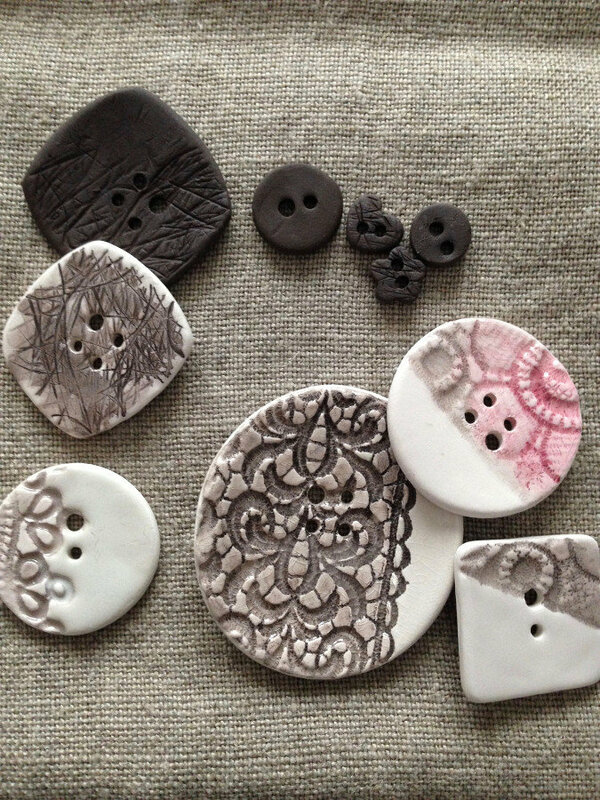 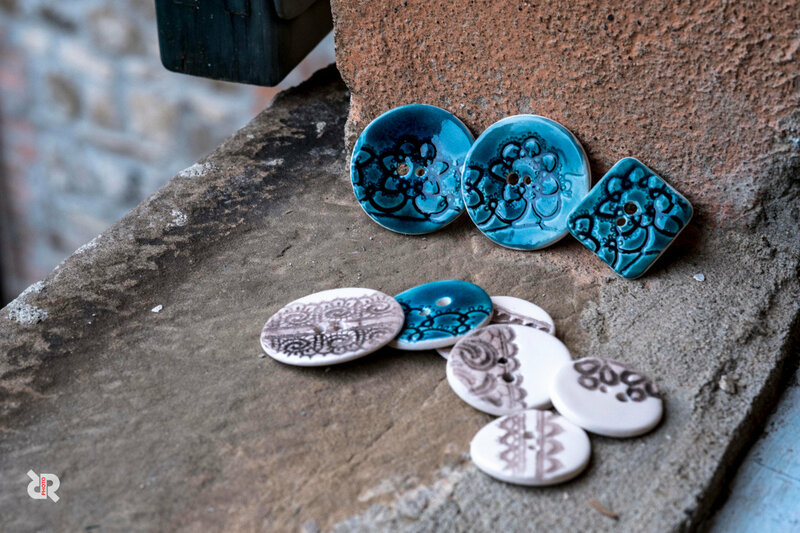 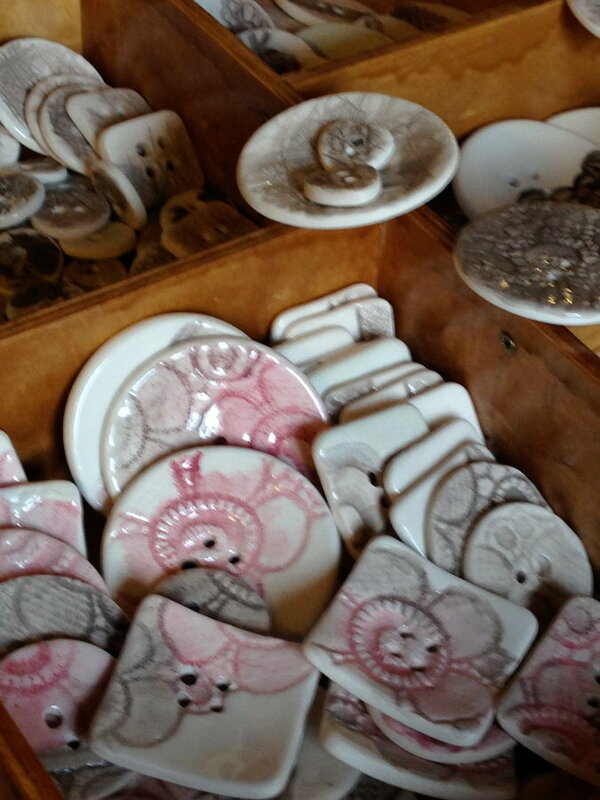 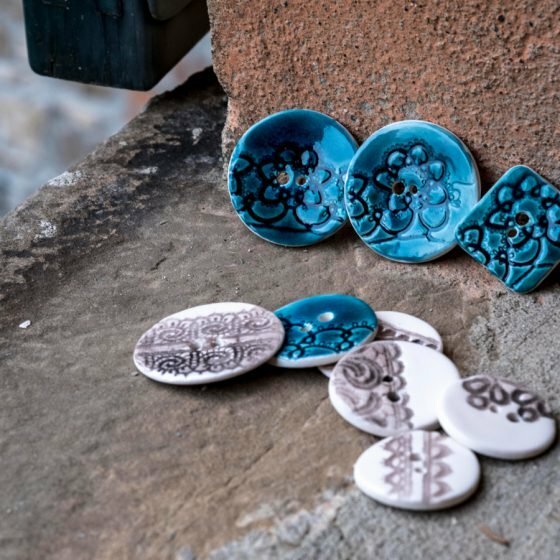 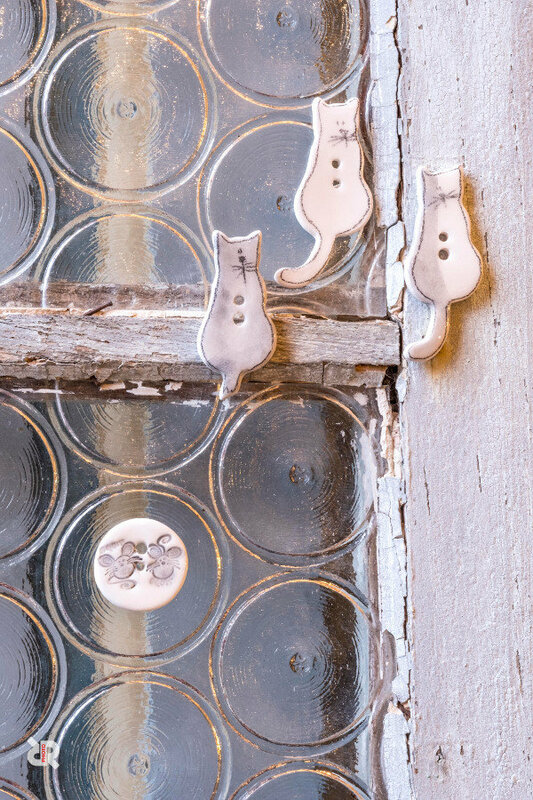 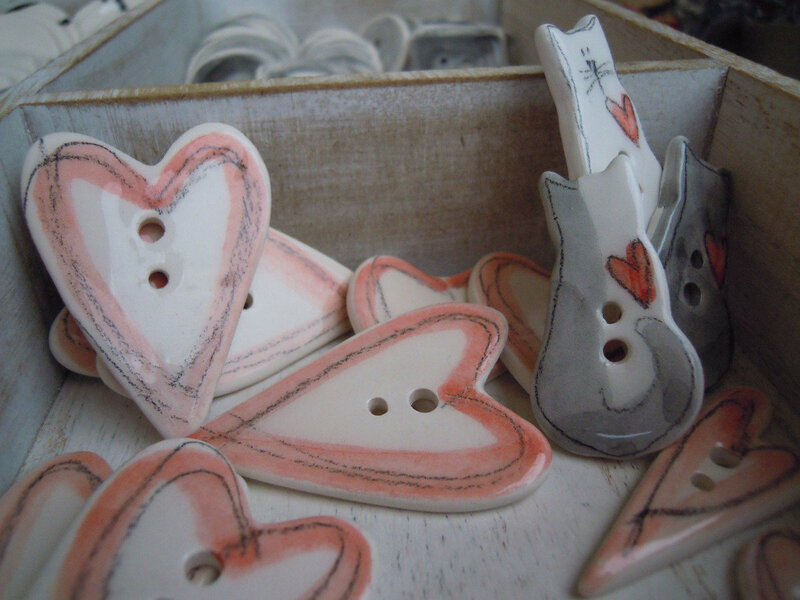 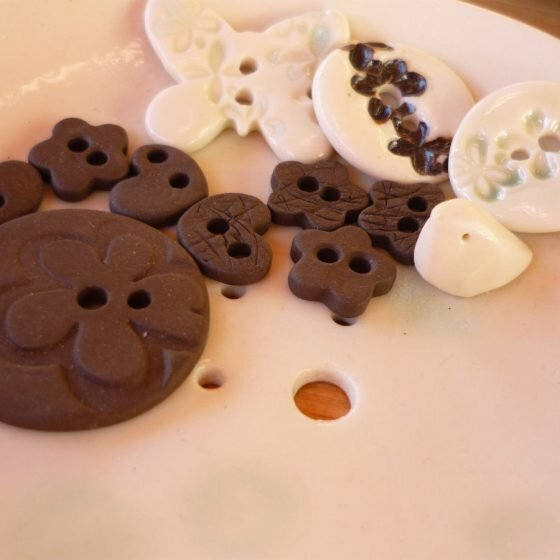 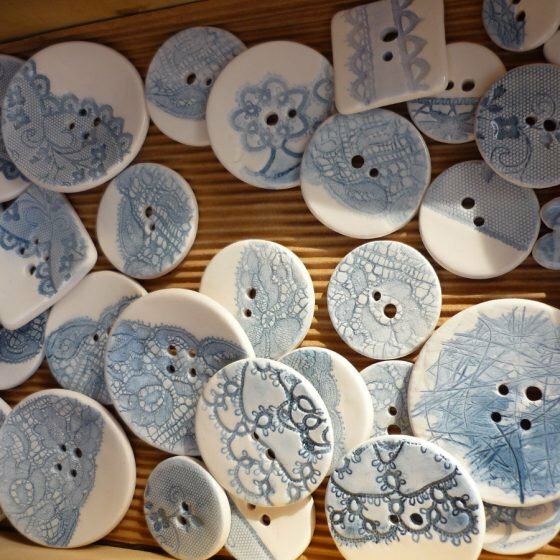 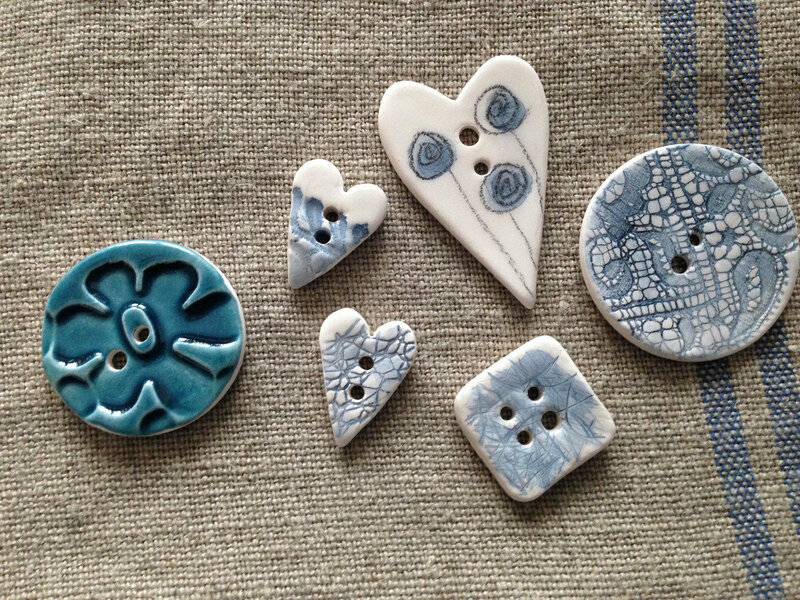 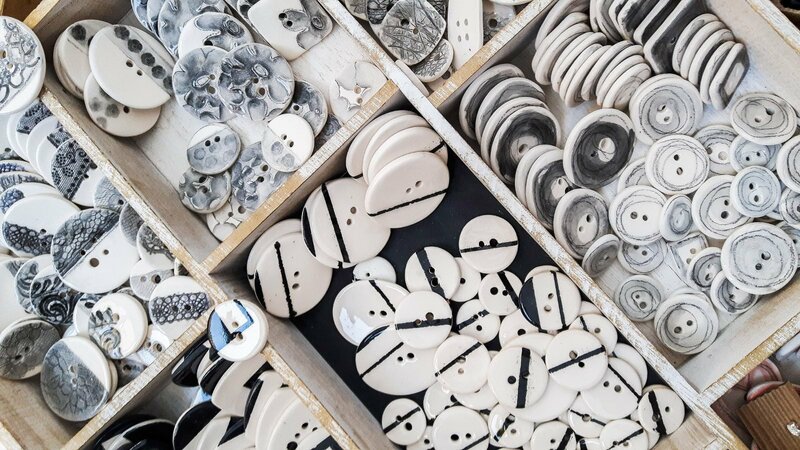 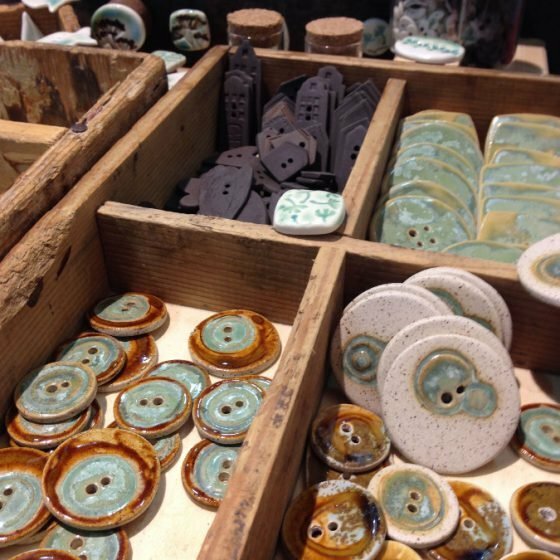 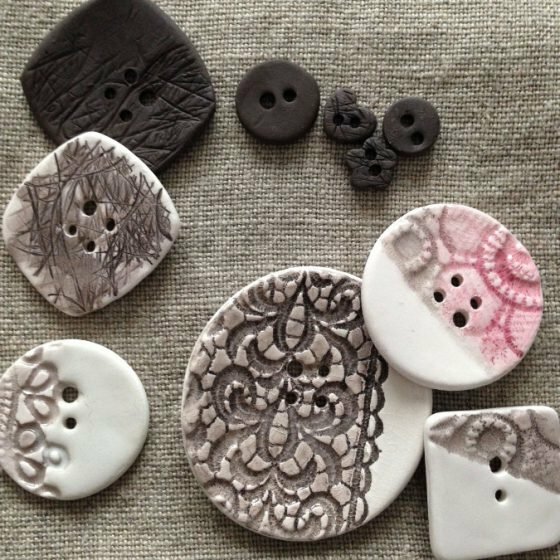 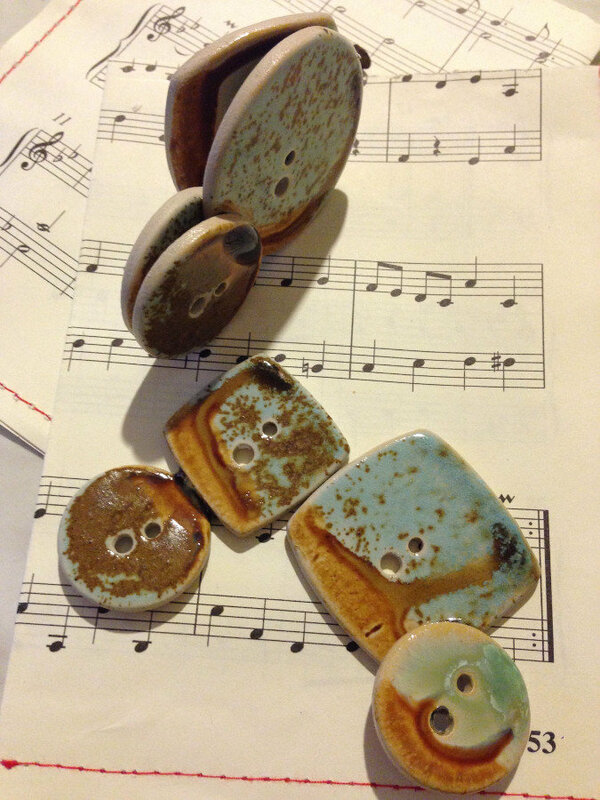 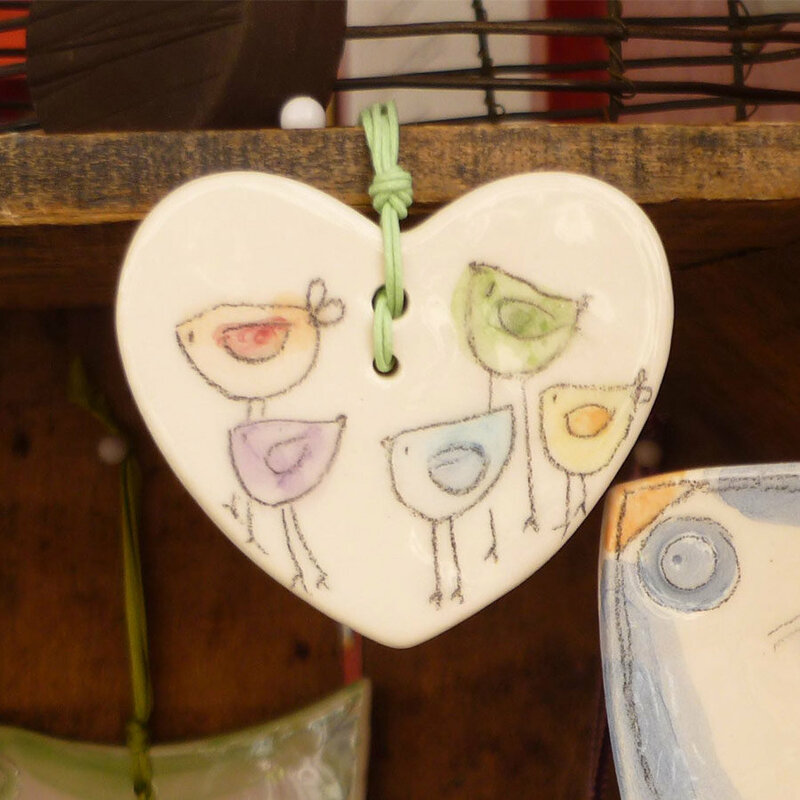 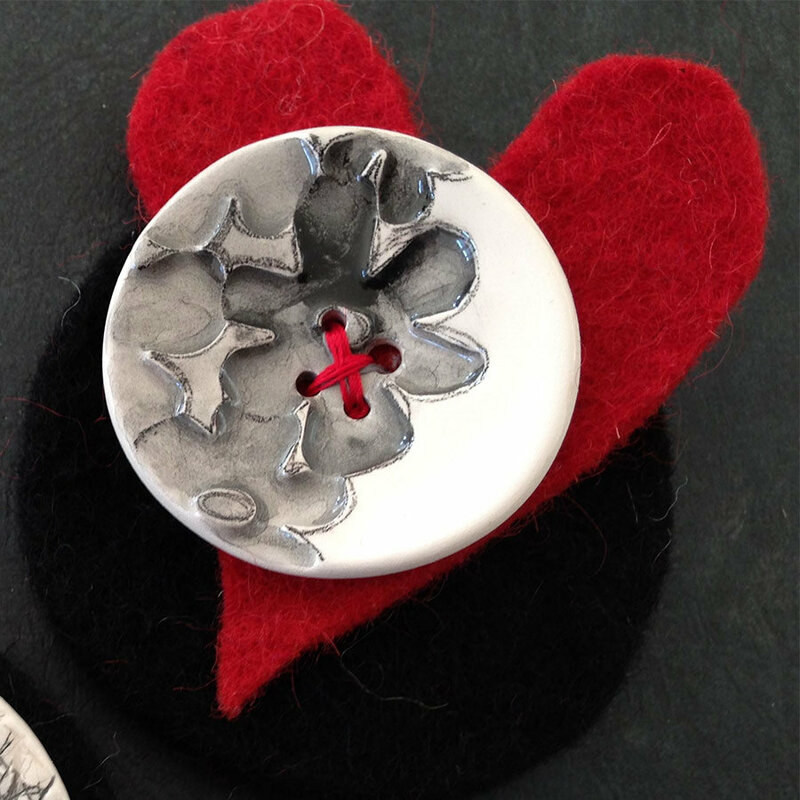 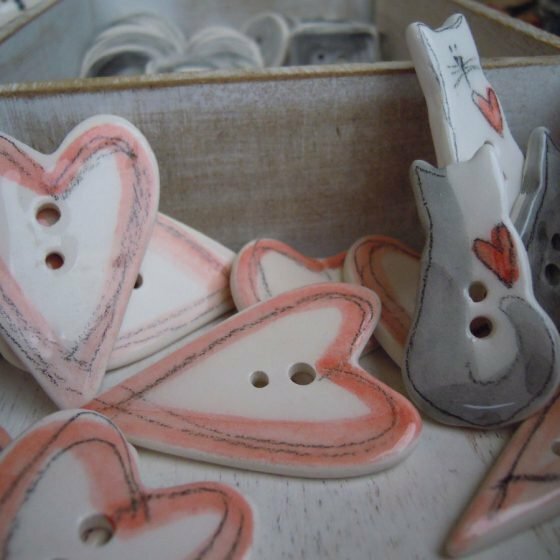 They are born as buttons but shapes and colours, coming from under-crystallines and glaze, make creativity travel giving space to new ideas and ways of work. 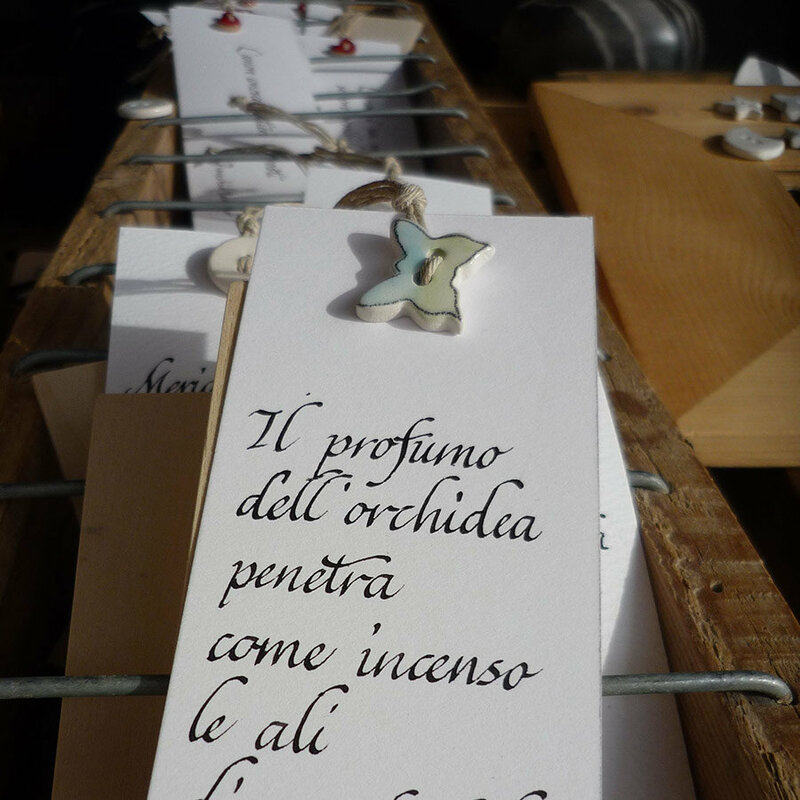 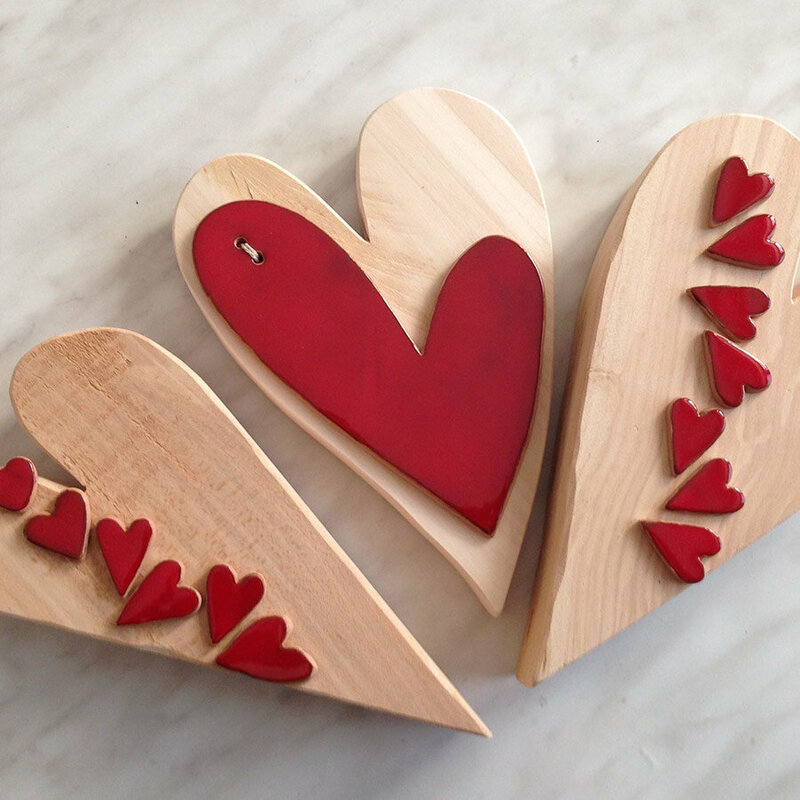 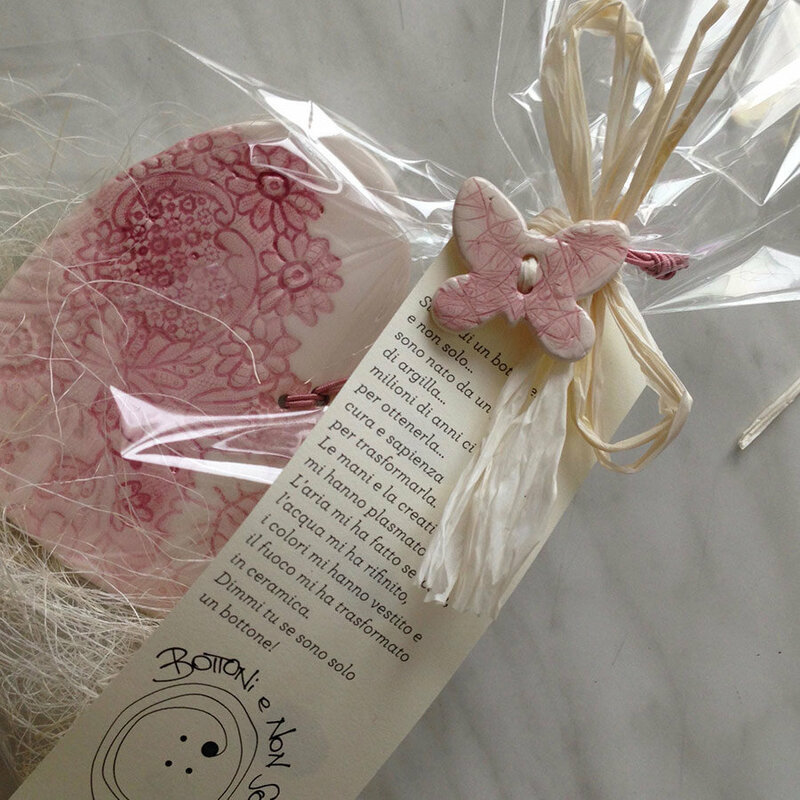 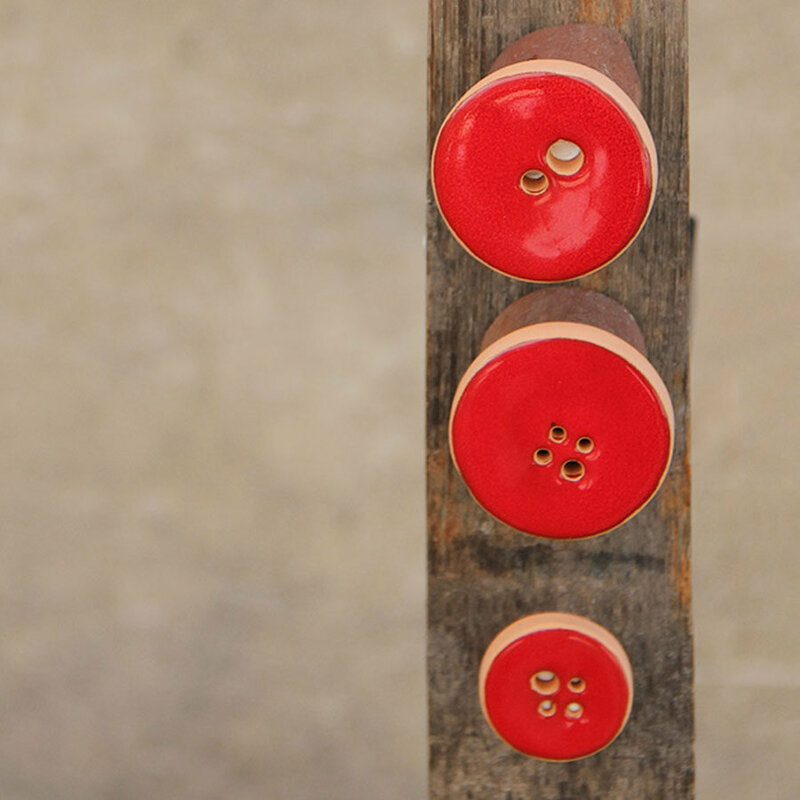 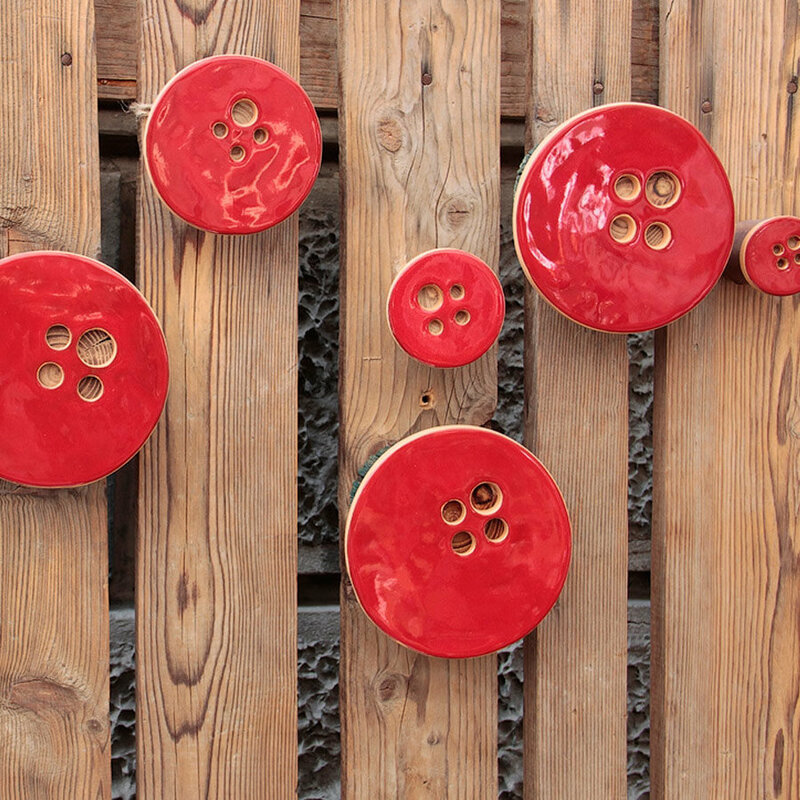 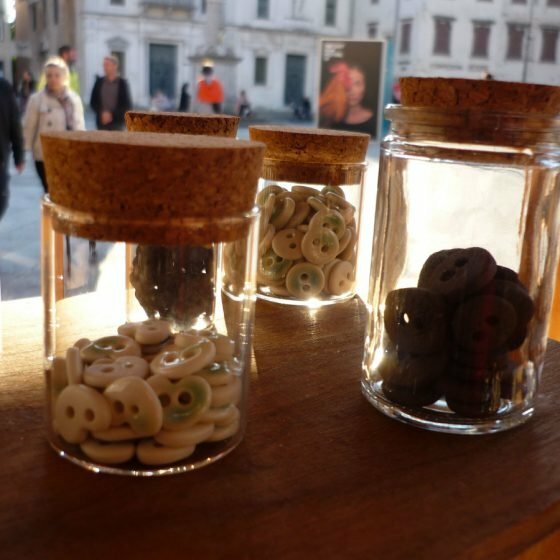 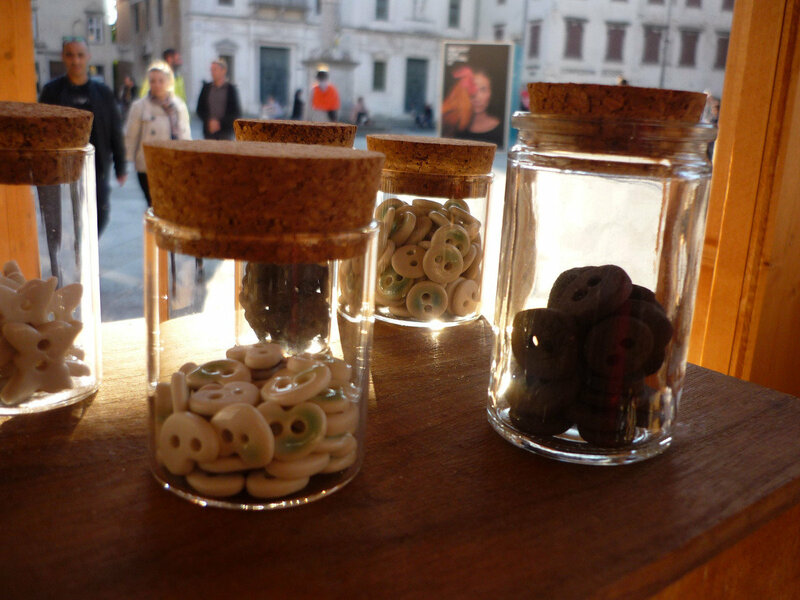 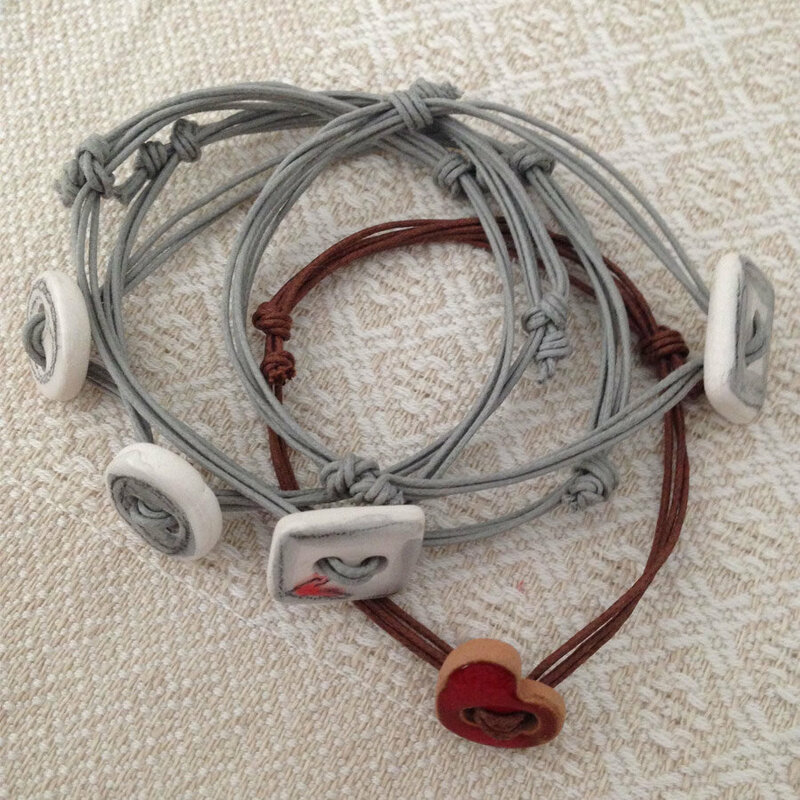 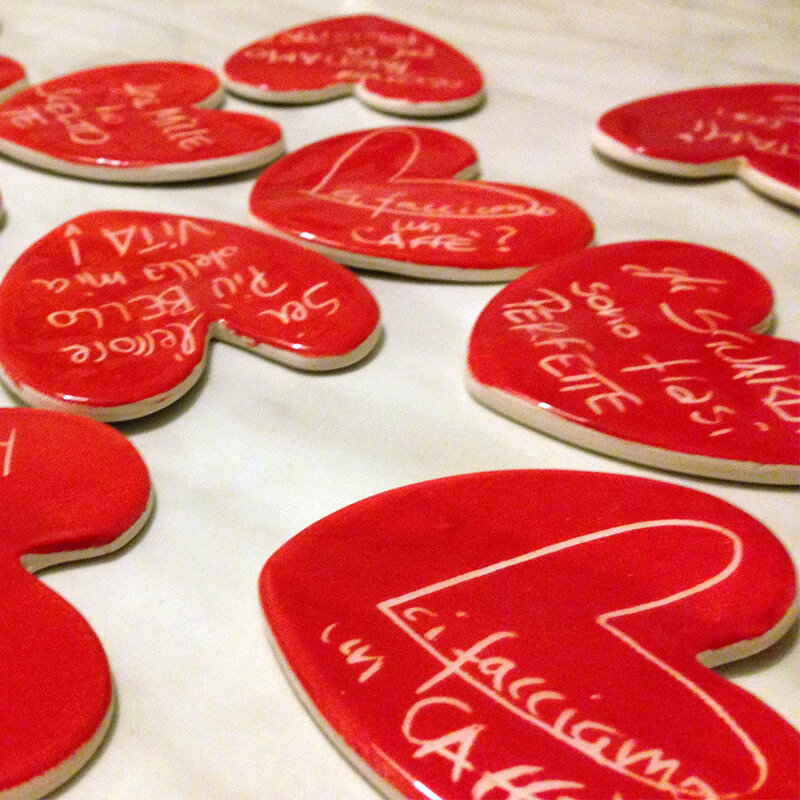 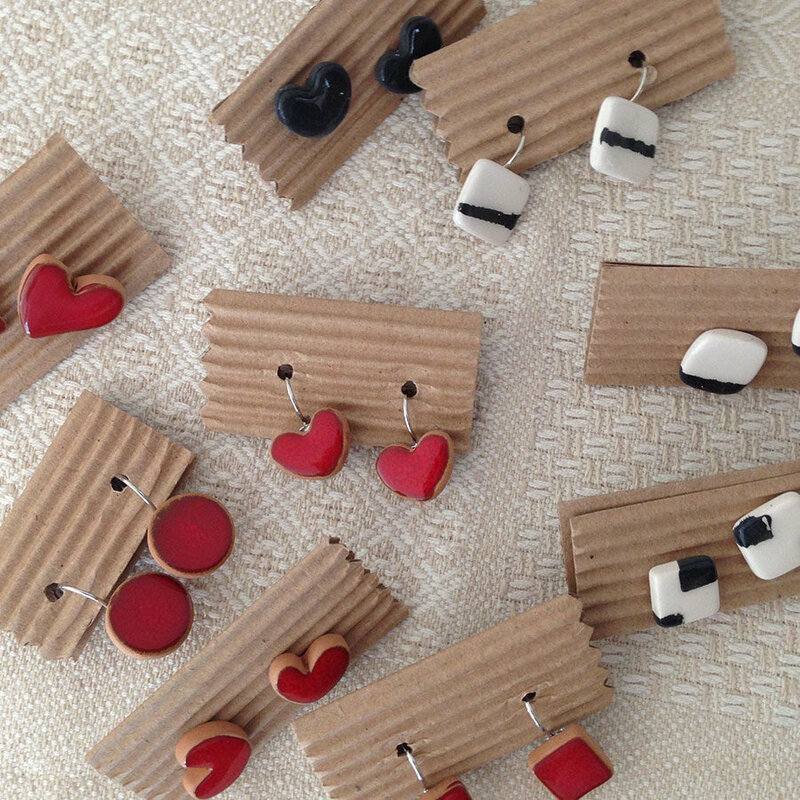 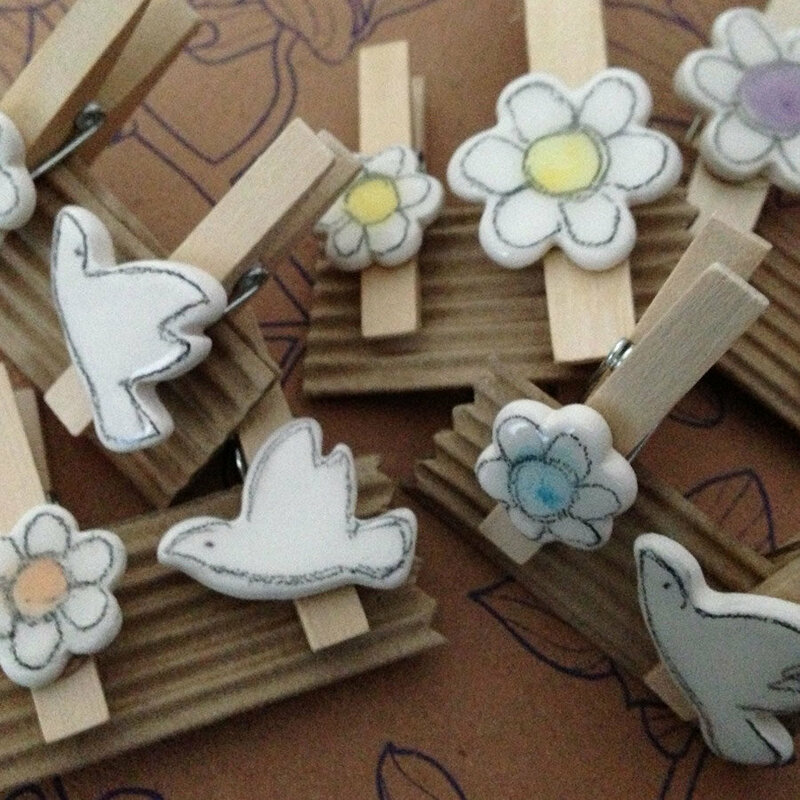 Bottoni e non solo is also a collection of creations and bespoke handiworks.